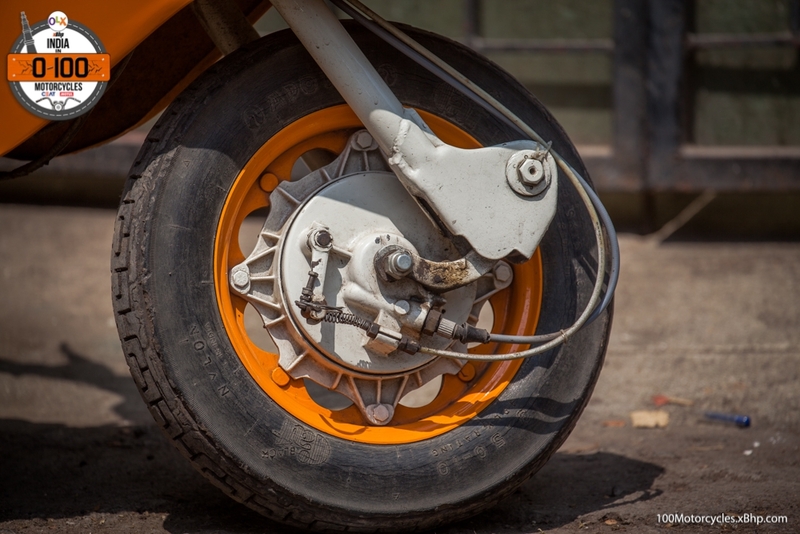 Buy a used Suzuki motorcycle on OLX. SAT. 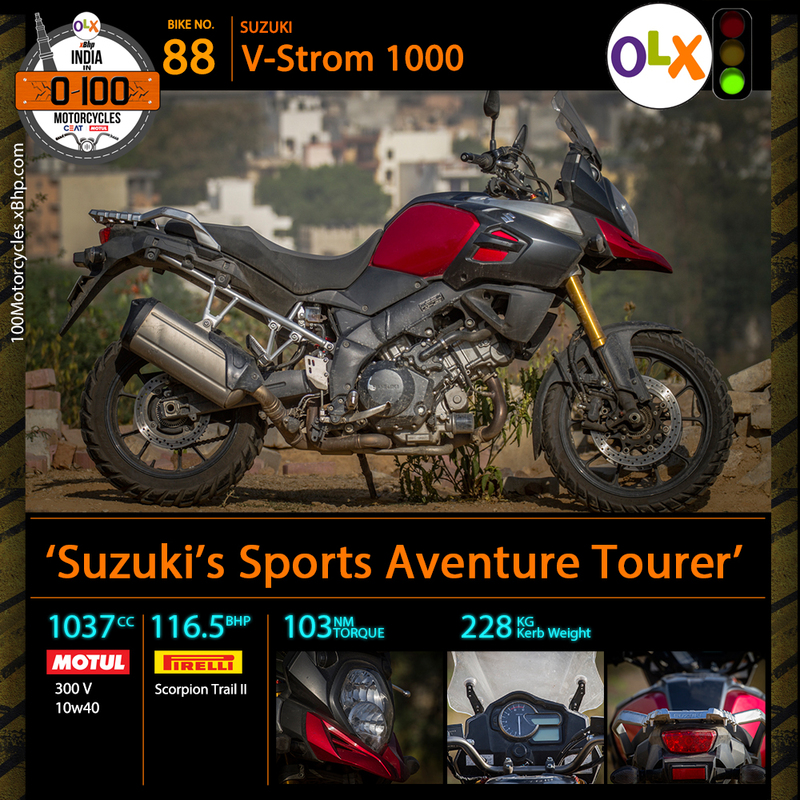 Sport Adventure Tourer is how Suzuki describes the V- Strom. 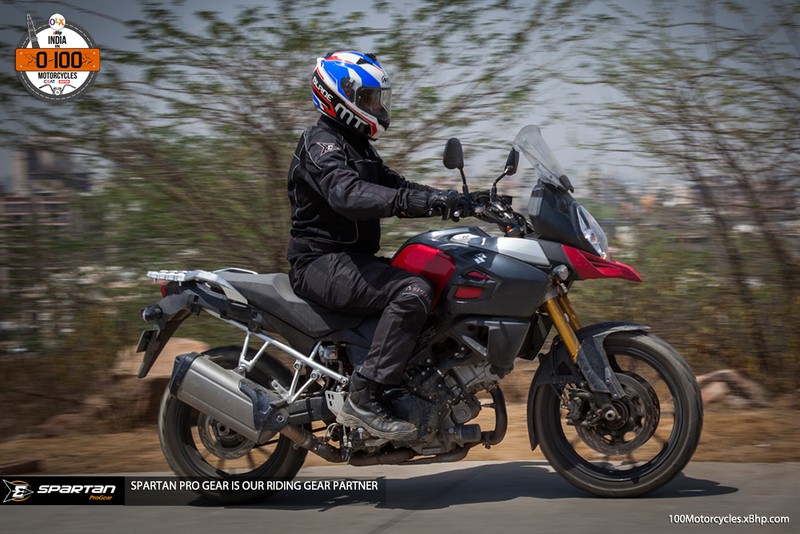 Though the last letter of the acronym, the Tourer, than on the first two is what makes it extremely interesting. Running low on budget? 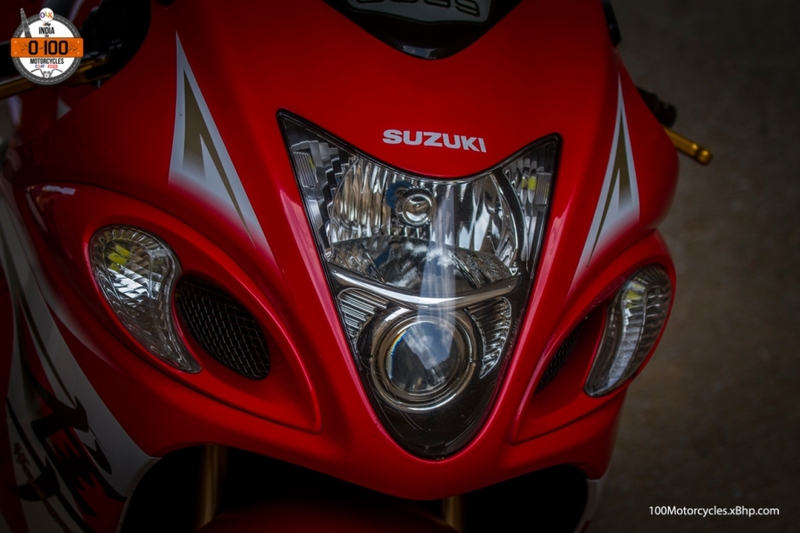 Buy a used Suzuki motorcycle on OLX! 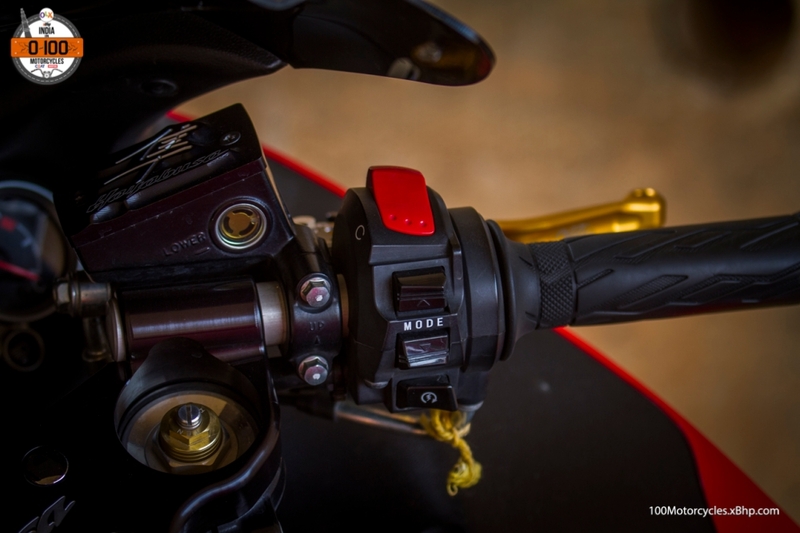 This bike can let you sit at a hundred and thirty kays as if you’re sitting in your TV room watching your favourite sitcom while the engine purrs away at a tame but potent 4000 rpm in 6th gear, potent since that happens to be its peak torque. 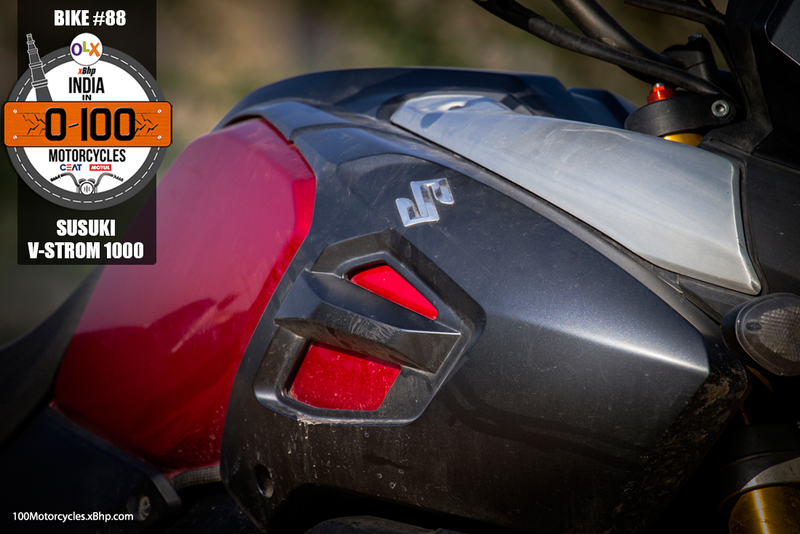 Nothing touches it in comfort, stability and controllability if you want to cover long distances on 2-wheels, of course with the qualifier ‘at that price’ always hovering around. But when and where is it ever so that this qualifier doesn’t exist? This bike is for munching miles on tarmac, day in and day out with none of the fun and sizzle diminishing with the passage of time. Strom here means ‘a stream of wind’ in German by the way! 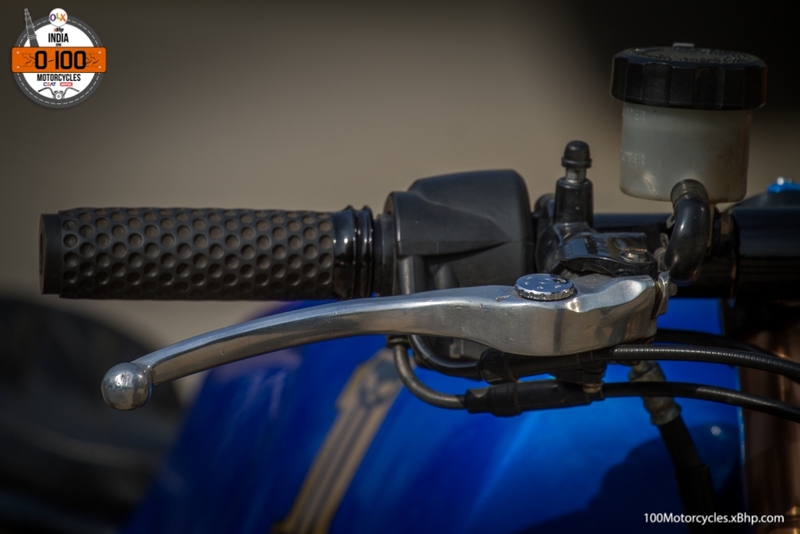 And this is a vast improvement over the older DL 1000 that came up as one of the original dual-sport bikes way back in 2002. And apart from the purpose and the basic engine configuration, almost nothing is the same between the two siblings spanning a decade. 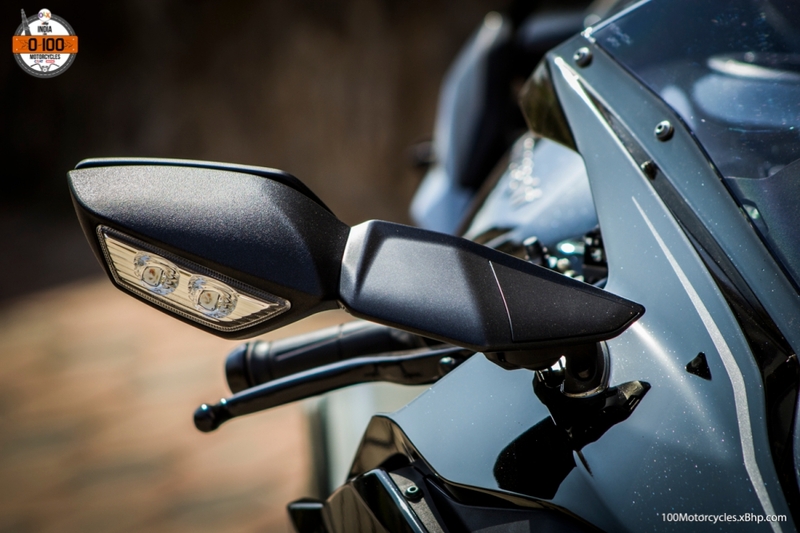 A stream of wind at high speeds though turn more academic when considered with a bike built for covering long distances with laconic ease, complete reliability and great comfort for the rider and pillion alike. 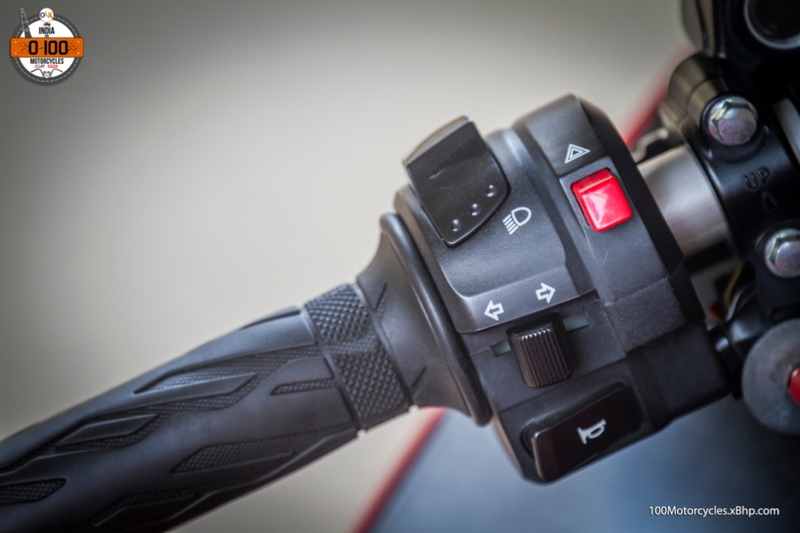 Wind protection, even with that three-step adjustable wind shield (adjustable for angle just by a push or a pull and for height by using the tool kit) set at the tallest borders on the acceptable, the air flow deflected over the screen hitting the top of the rider’s helmet and so inducing buffeting at speeds beyond 130-140 kmph. 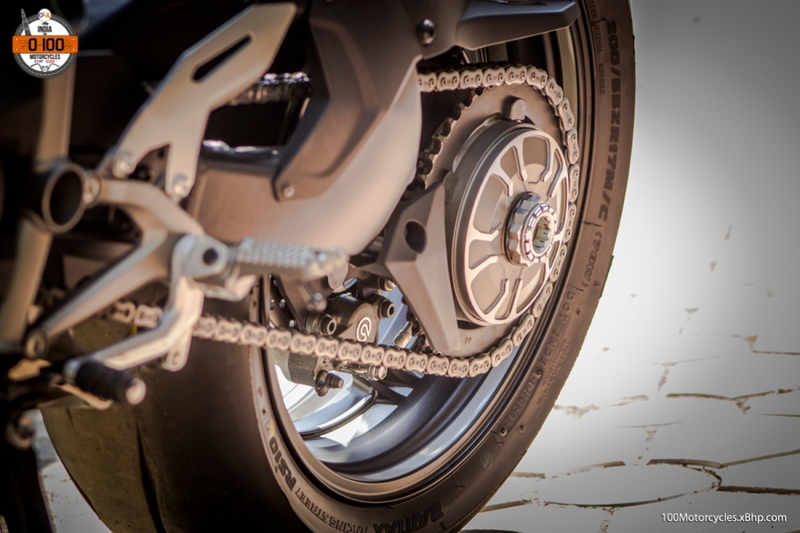 Touring and the racers tuck-in don’t go together! 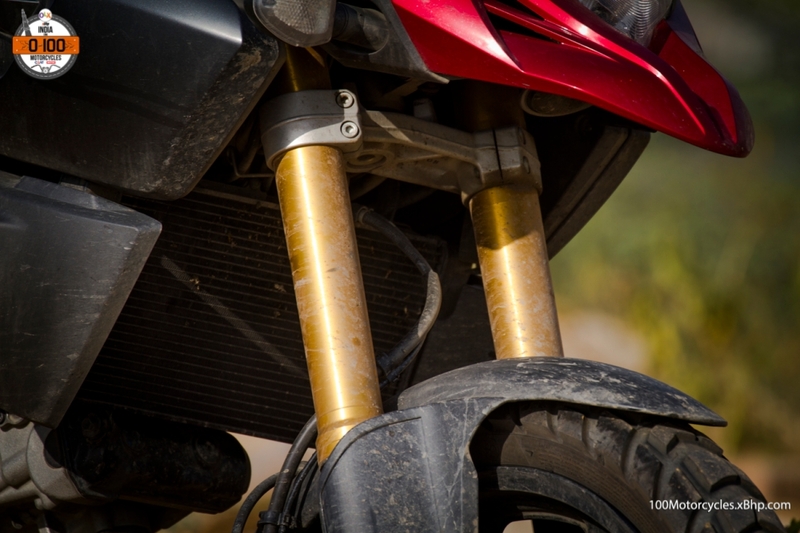 The V-Strom is tall and there’s no denying that. But it is not really as tall as it looks in photos or even in flesh. 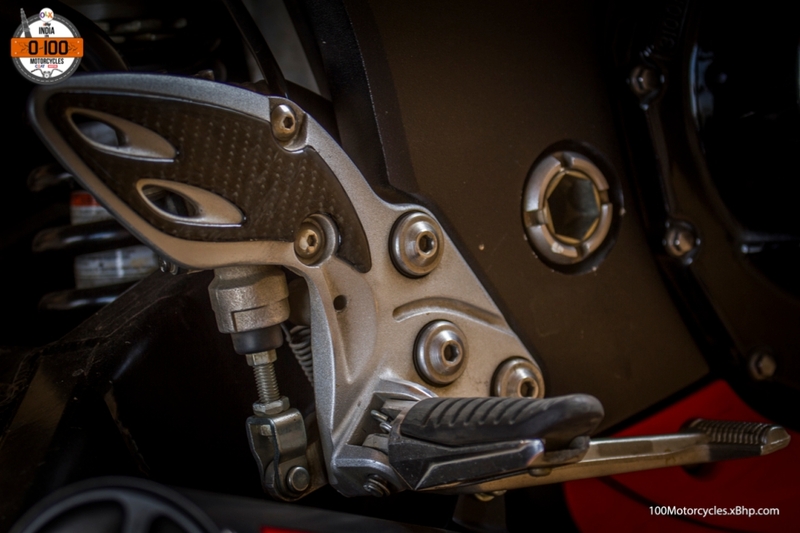 The reason lies in the low seat height (at 850mm), about 2 ½ inches taller than the Karizma with a very narrow seat width where it merges with the fuel tank thus allowing even short legged riders to tippy toe around on it. Walk up to the bike and even though it looks like a big handful, swinging a leg over the saddle and hefting it upright takes away some part of the ‘size intimidation’. Heft upright because the side stand (sadly there’s no centre stand) inclines the bike to quite an angle away from the vertical and getting 200+ kilos back upright needs all the leverage those wide steel handlebars provide. 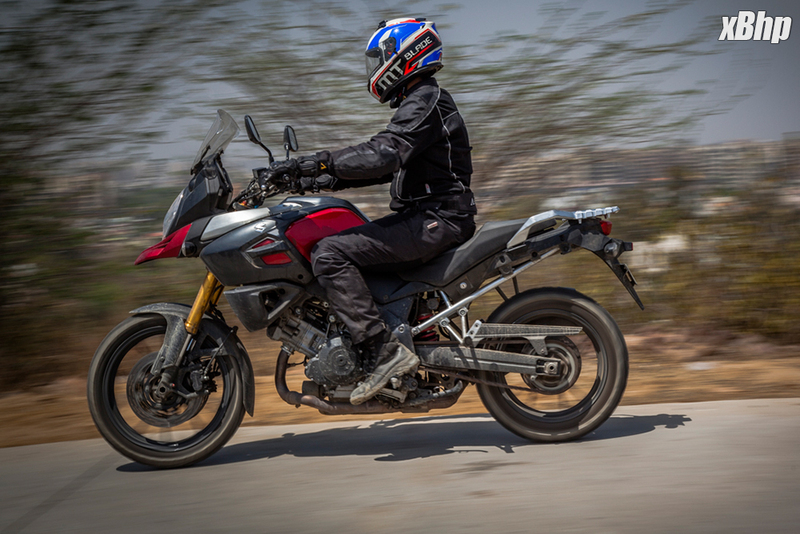 The twin-spar aluminium frame is torsionally rigid and also light making the V-Strom sure footed. The wheel base is relatively long at 1555 mm but the tighter rake and trail make for a very flickable bike, a very potent urban machine though this ease of manoeuvrability in no way comes at a cost of straight line stability so vital for a long distance tourer. 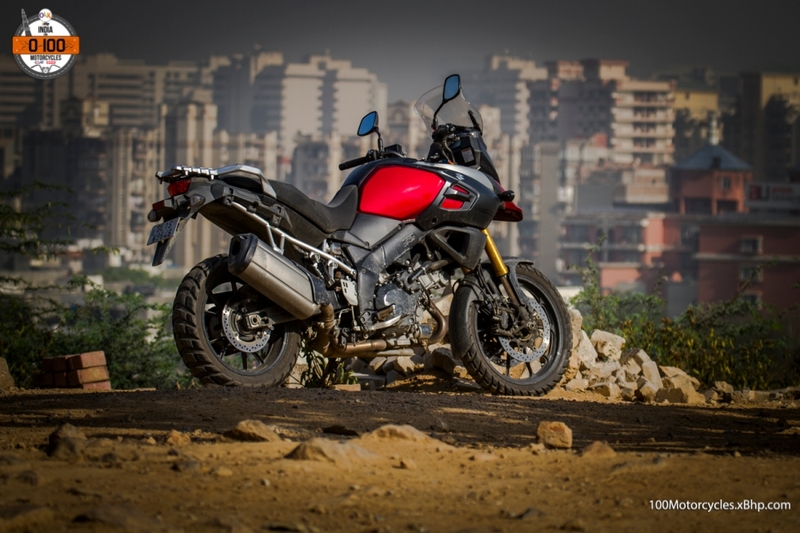 The Suzuki DL 1000 V-Strom might not be a veritable storm on the road but it is a great machine, both for daily urban use and mile munching on the high road. 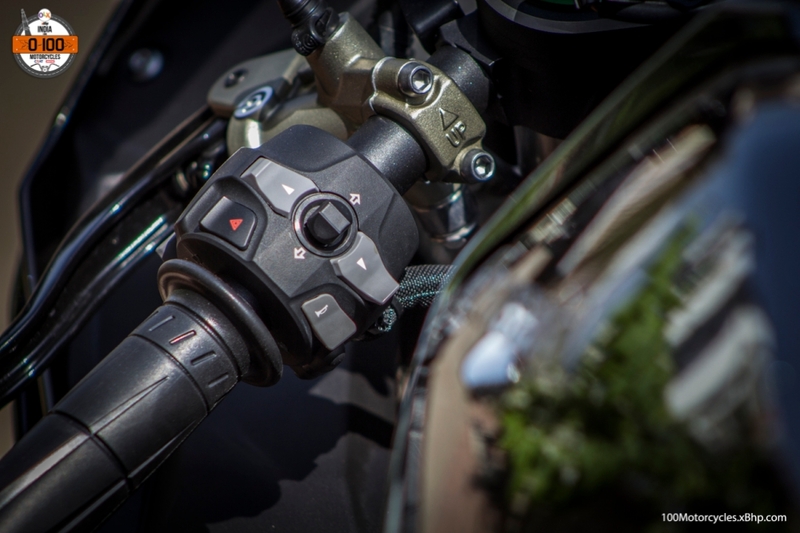 Quick, comfortable, reliable, undemanding and modern in every sense of the word, the V-Strom is not just great value for money but also a great bike to own and ride. 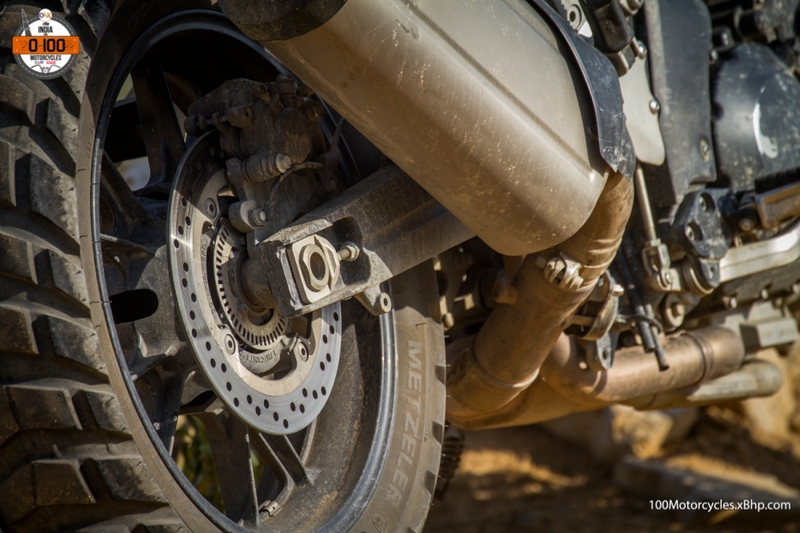 It might not be the most powerful motorcycle in the Adventure segment, but it does promise reliability, comfort and ease of ownership. 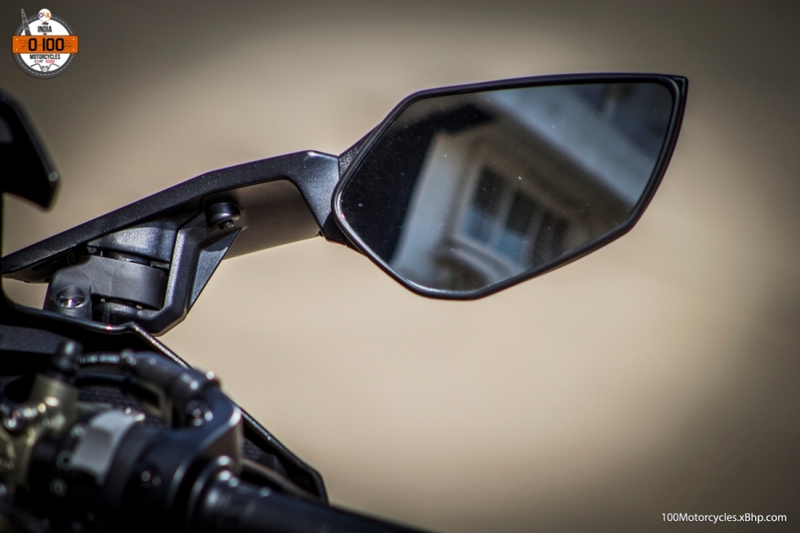 Buy a used Kawasaki motorcycle on OLX. If Tron had to ride a practical everyday super bike it would be this. If Robocop had to get his chase motorcycle from what’s available today it would be this, only it would probably make him look more badass than the bad guys he trolls. Running low on budget? 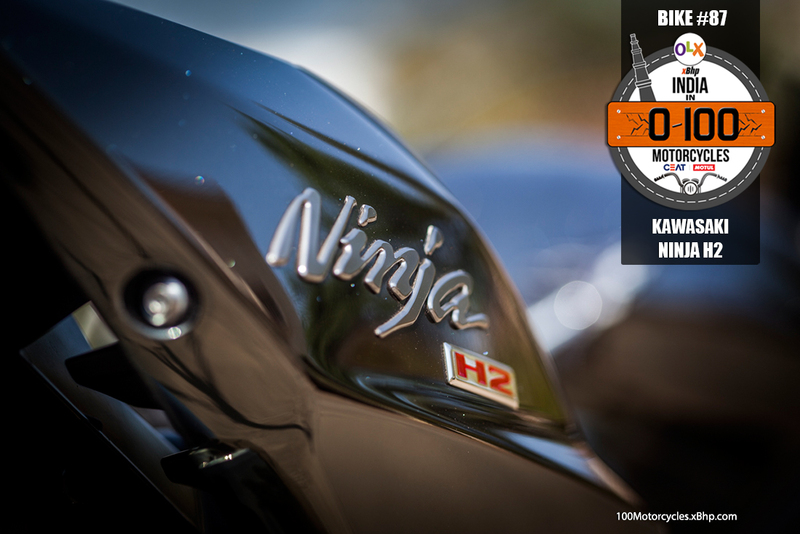 buy your favourite kawasaki motorcycle on OLX! 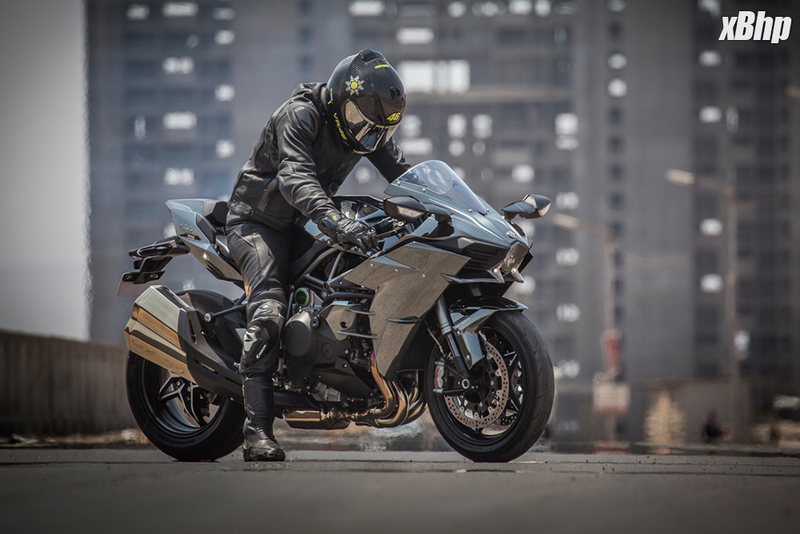 We are talking about the wickedest of all Ninjas out there from the Kawasaki stable – the Ninja H2. 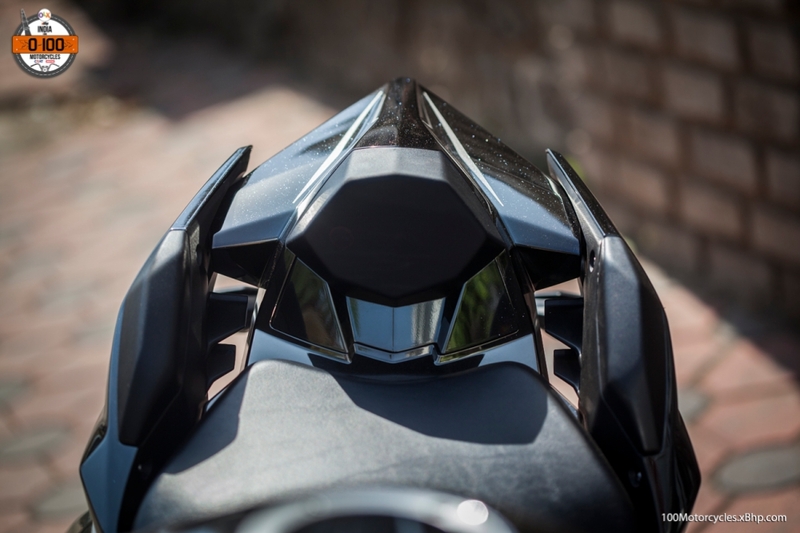 It was not only one of the most anticipated motorcycles of 2014 when it was first showcased at INTERMOT ’14 but it was in some ways the next visible progression in the evolution of the motorcycles as we know, for some of us petrol-heads, as important as the next step in evolution of mankind. There’s more, you know that a motorcycle is very important for the company who makes it when they decide to name it after the first ever motorcycle which was an international success to them due to its power and speed – the Kawasaki H1 in 1969 with 60 Bhp out of a 500cc 2-stroke driving 184 kg wet to a healthy 185 kmph. 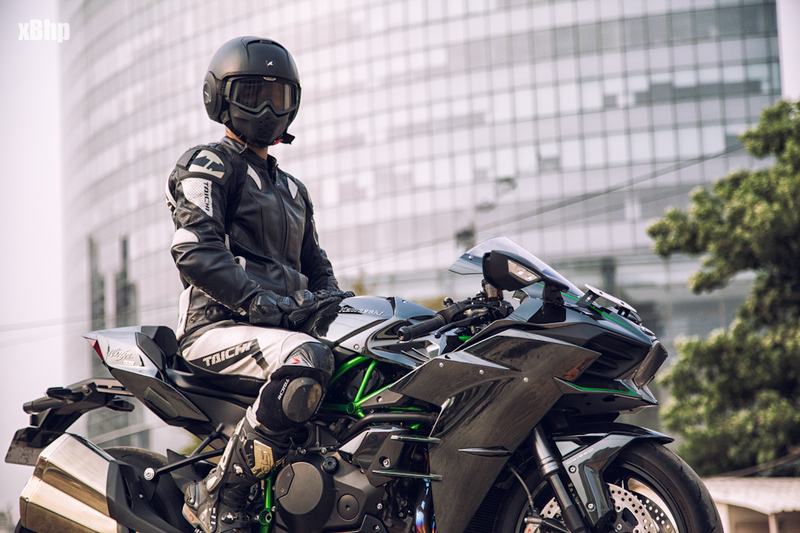 Not only this but KHI (Kawasaki Heavy Industries) actually employed its resources from across its other heavyweight divisions (motorcycles is but a ‘relatively’ small business for them) in creating this motorcycle. 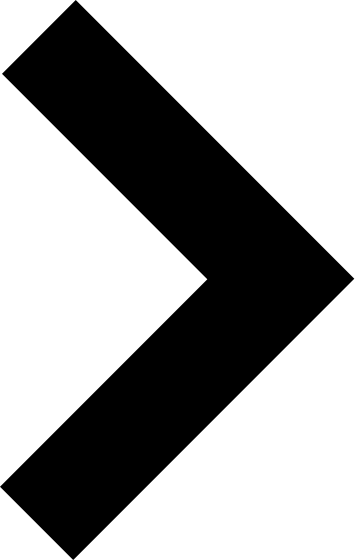 Motorcycle Division: Konnichiwa. Hey we need something different in the motorcycles, can we borrow someone from other divisions for a little while? Kawasaki Chief: Ok. I can spare someone from my aerospace and turbines division. Maybe a few hours from the aircraft division as well. And we might have some special paint left from our aircrafts division, you can use that. 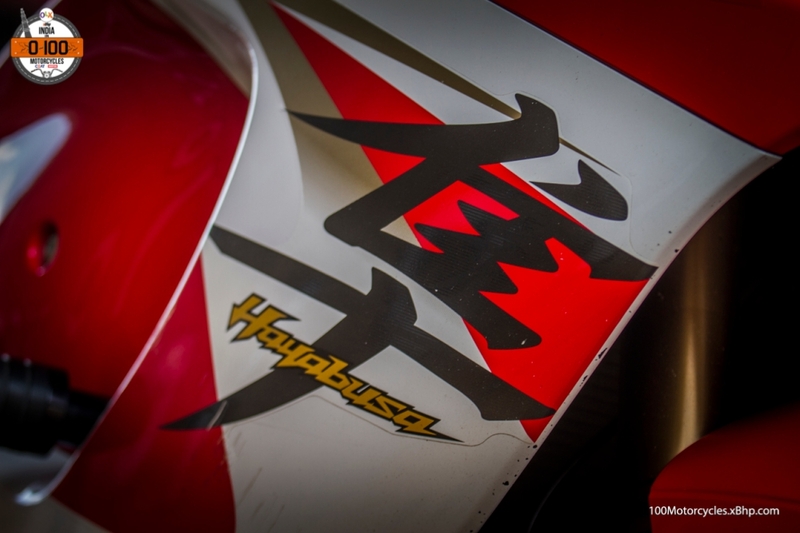 Just make sure you have our main Kawasaki River logo on the front of the bike. And one more thing, make it fast. And wait; add something different, maybe a supercharger. Motorcycle Division: Noted San. Arigatou! 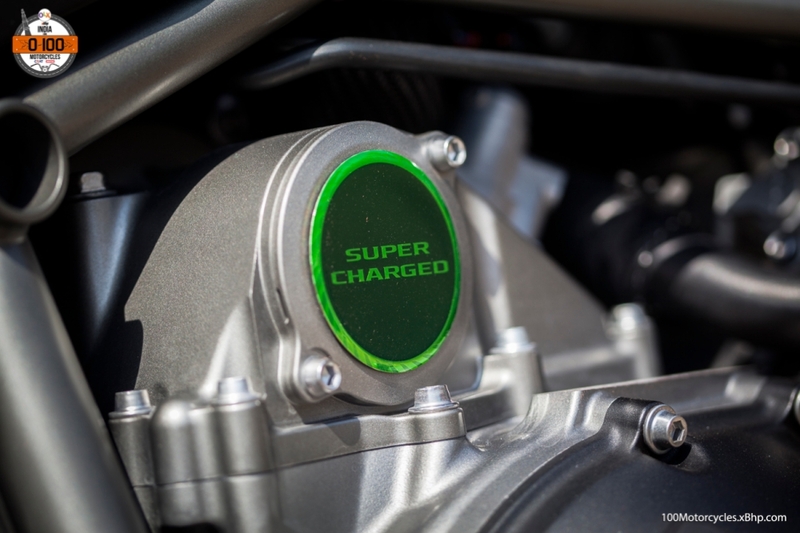 It has a supercharger without an inter cooler. It has a paint to job (actual layer of silver over base black coat!) to die for. 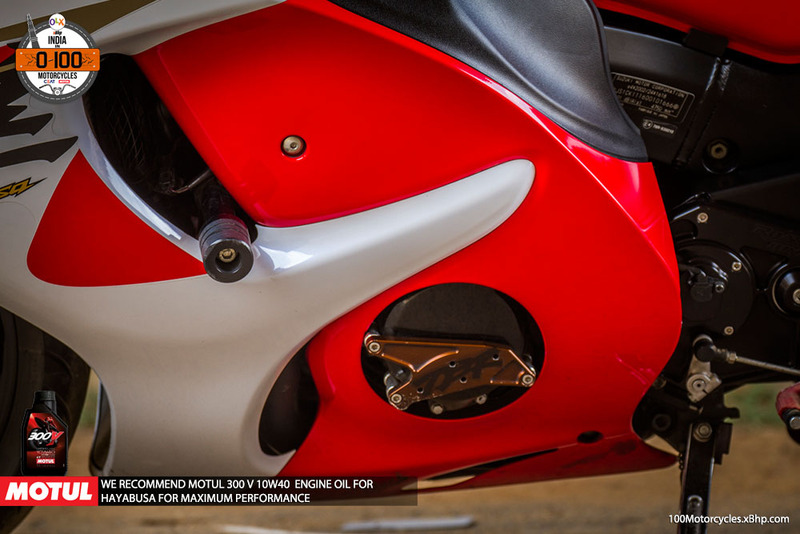 It also features a heat dissipating super alloy called ‘Iconel’ while using 35% more engine oil than standard super bikes to keep things cool. 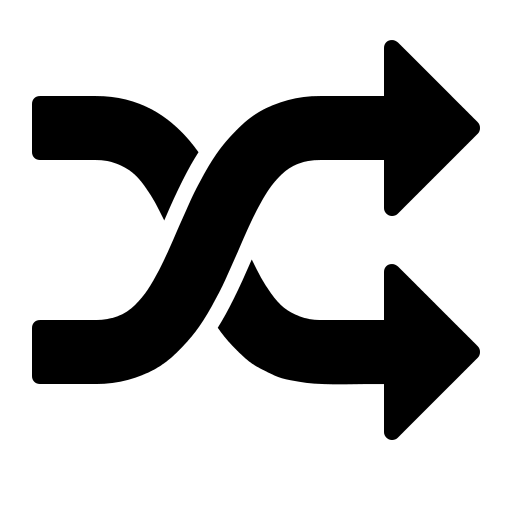 It looks different enough to evoke a response from everyone regardless of whether they love it or not. 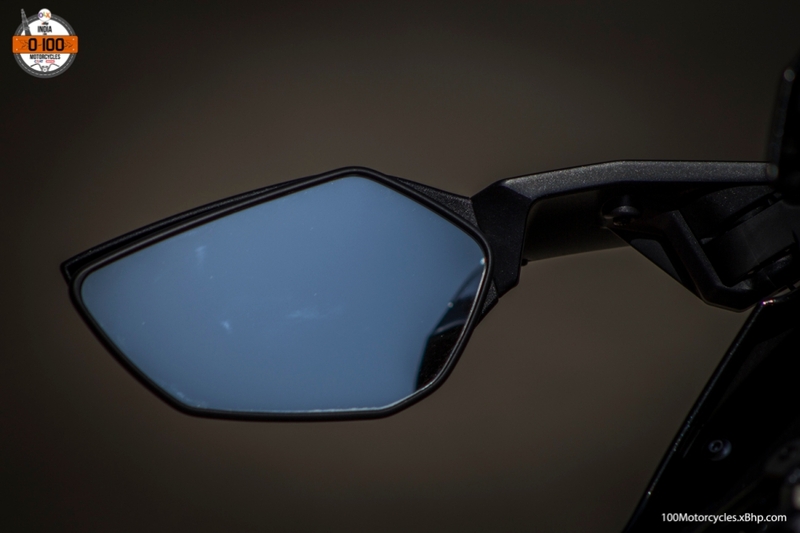 And Kawasaki hit the right note when they made it that just exclusive and difficult to get – you need to order online and they are released in limited batches. 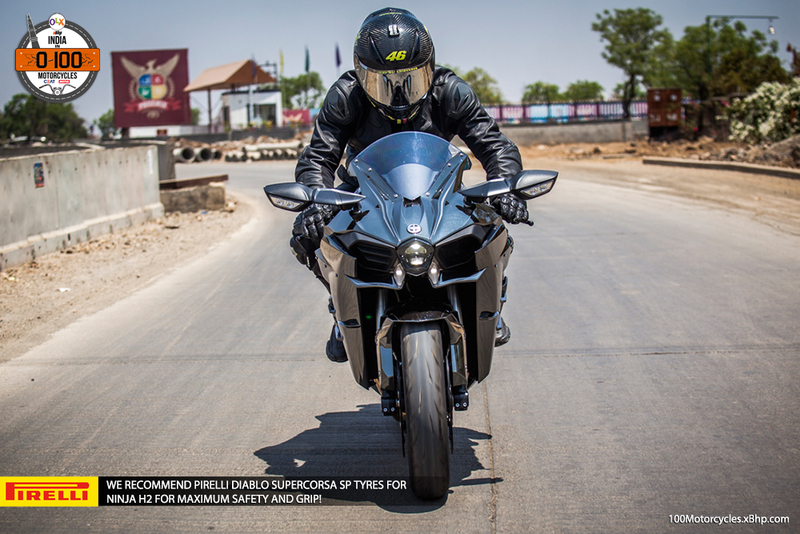 With 998cc and 210 Bhp it flies like a rocket, albeit with a sweeter soundtrack courtesy the supercharger. And you can’t just buy it off even if you have the money considering it is made in limited release batches and one has to order it online, including the dealers. 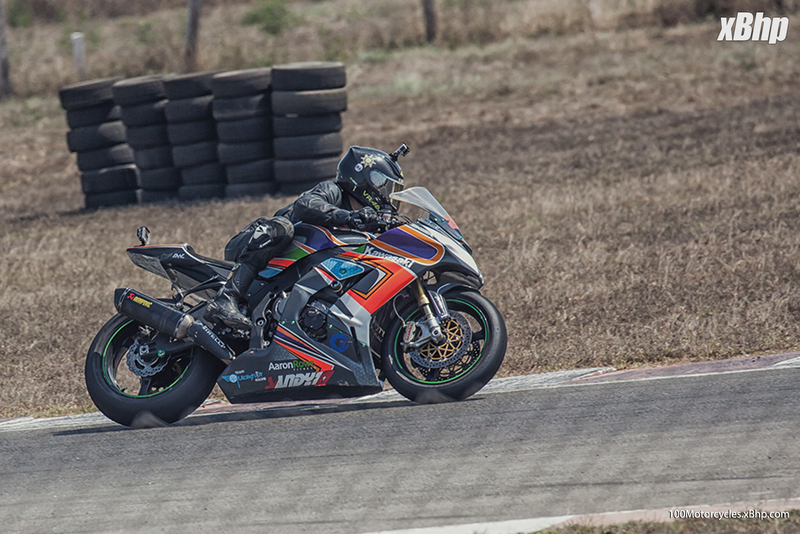 The bike also doesn’t really fall in the ultra-compact superbike category of today, or the larger hyperbike category of the ZX14s and the Hayabusas, it’s somewhere in the middle, in fact there is nothing else quite like it. 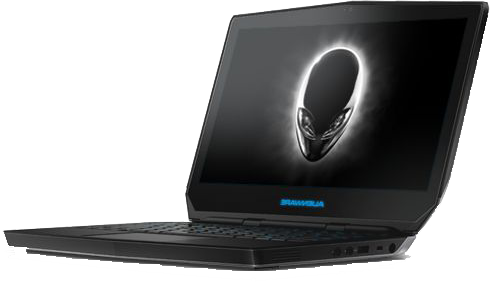 So if you want to have something exclusive yet reliable and insanely fast – go for this! Damn! Damn! Even if I were a real Ninja I would think twice before riding this, it’s insanely conspicuous on the road. Attention guaranteed! 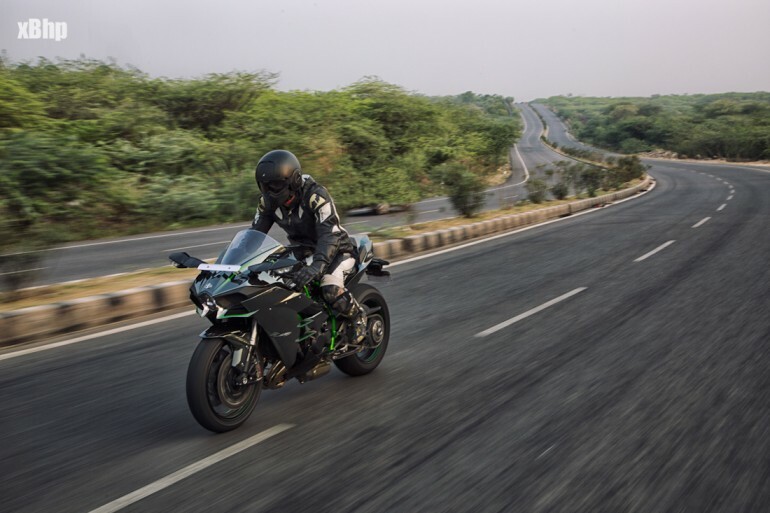 We would like to take this opportunity to thank Mr. Vikram for giving us a chance to ride his Kawasaki Ninja H2. 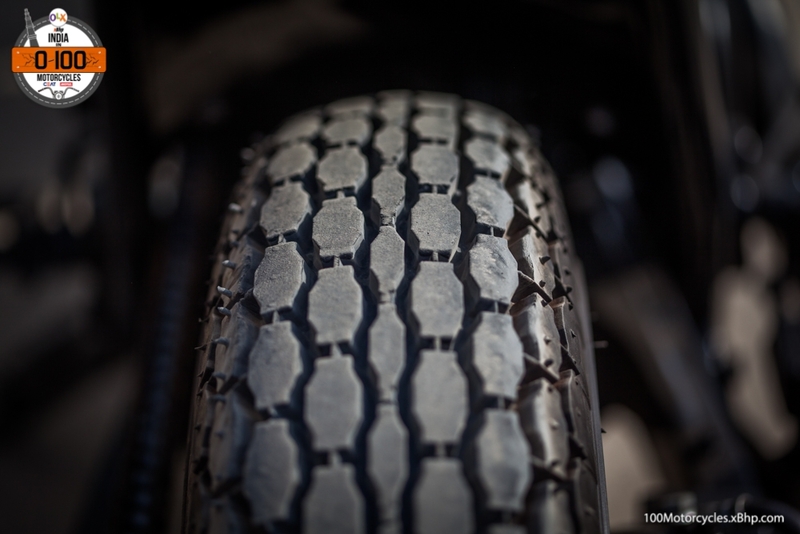 Recommended for superior road grip and safety. 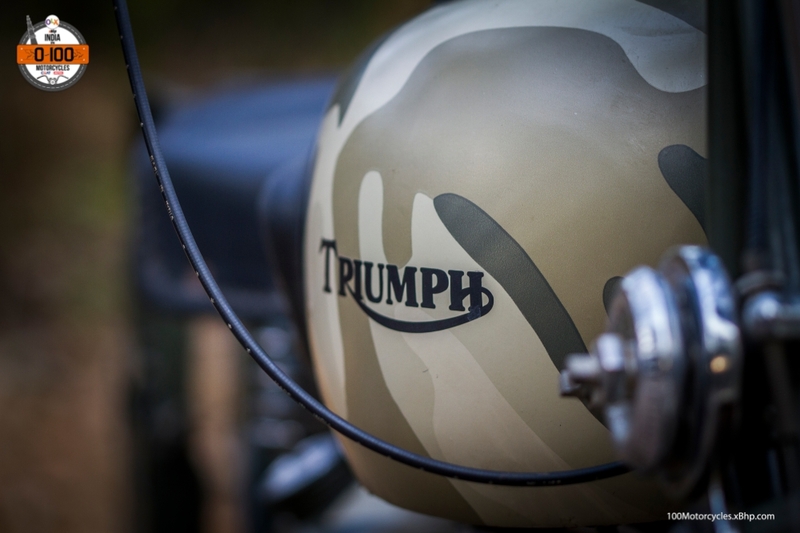 Buy a used Triumph motorcycle on OLX. 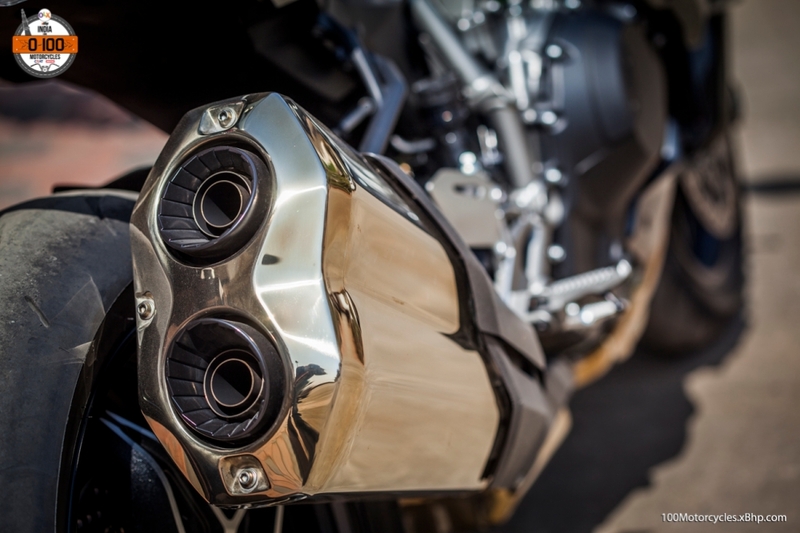 What all factors lead a company to decide the kind of motorcycles they want to make? 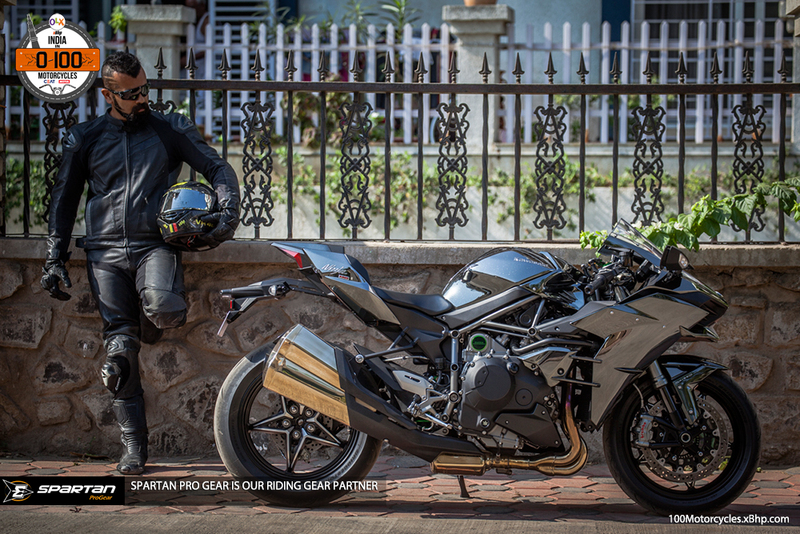 There are a few – the kind of riders they want to target (sportbikers, cruiser aficionados etc.? 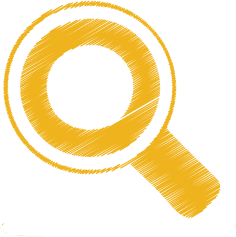 ), the kind of history they have in the industry (for example, companies taking part in racing) and of course, their financial capability. Running low on budget? 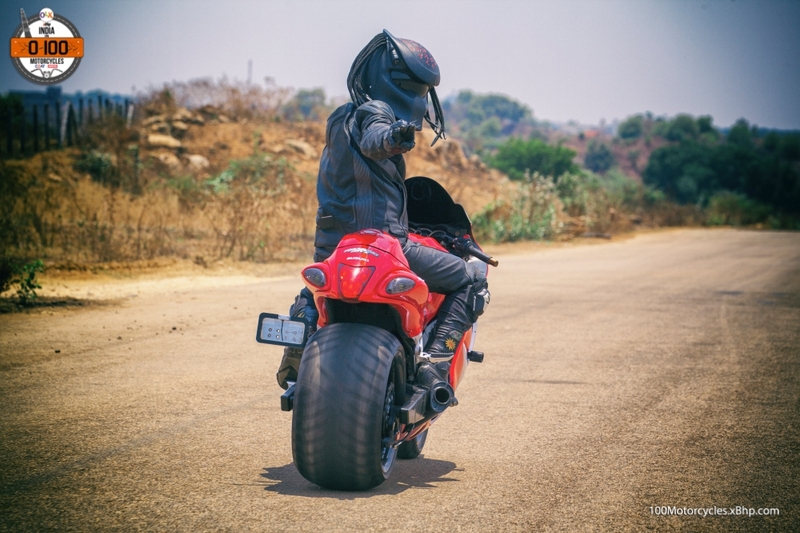 Buy a used Triumph motorcycle on OLX! But circumstances can be too unpredictable at times for people to decide things beforehand of what they want to do. Sometimes, they just have to react to a situation and create the best out of it. 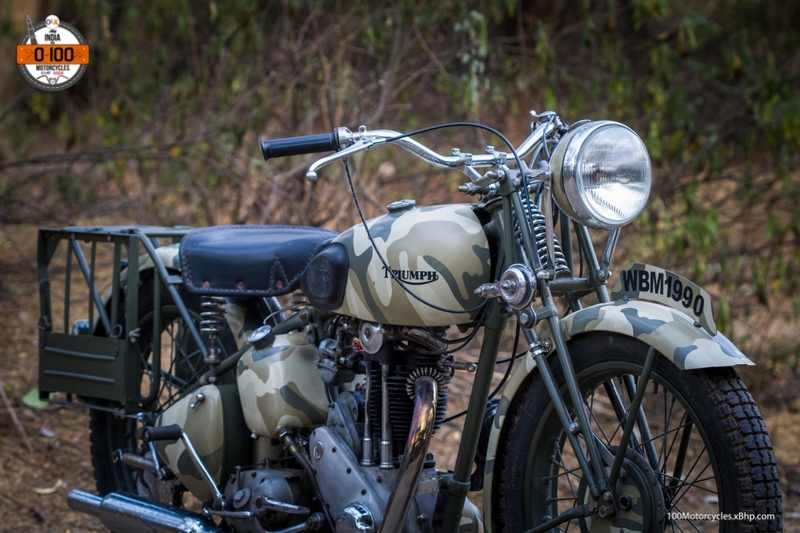 The most famous British bike maker, Triumph, found itself in a fix which could be described as above when the second World War broke out leading them to make a special motorcycle – 3HW. 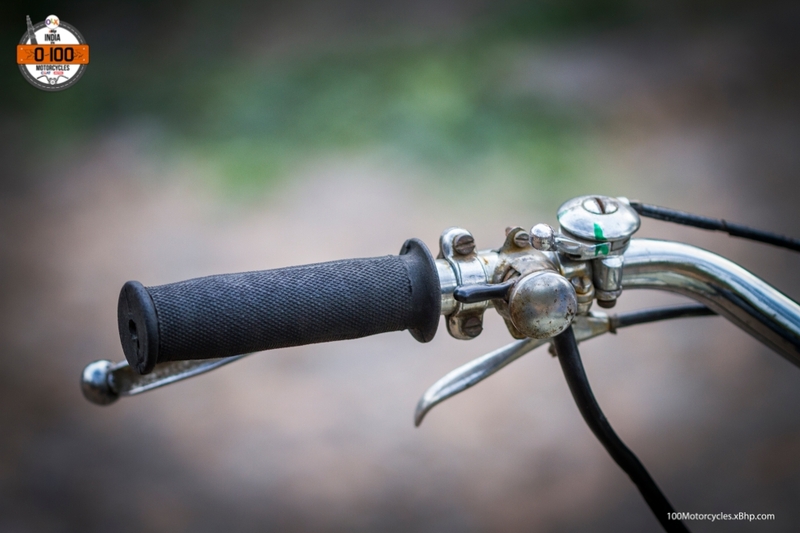 In the 1930s, most motorcycles looked similar more or less having a standard design with a round headlamp, wide handlebar and spoke wheels. 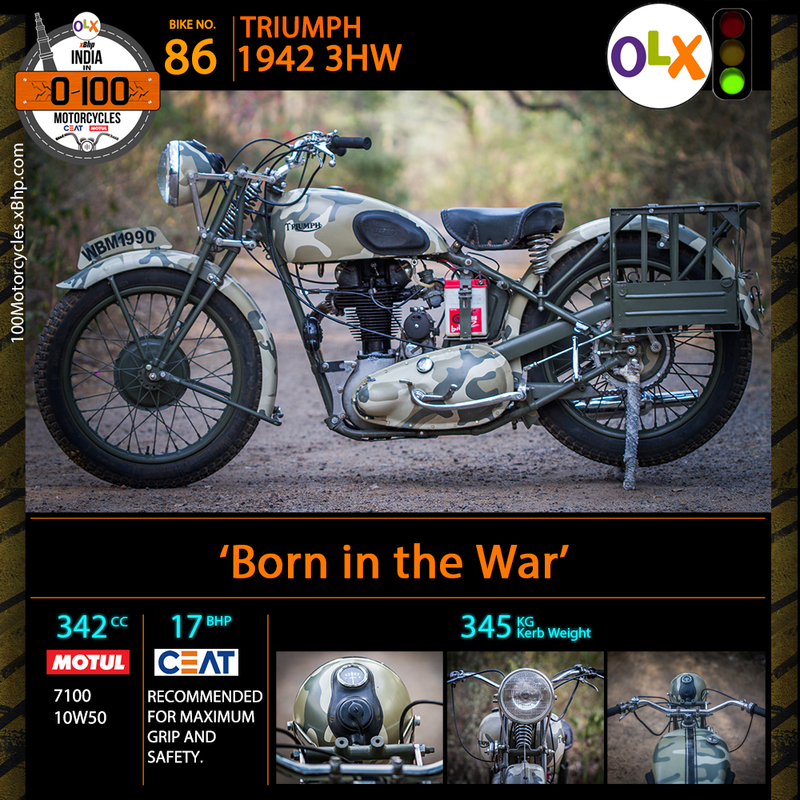 One of the motorcycles Triumph made at that time was Tiger 80 which came out in 1937 and went on to become a popular model back then. 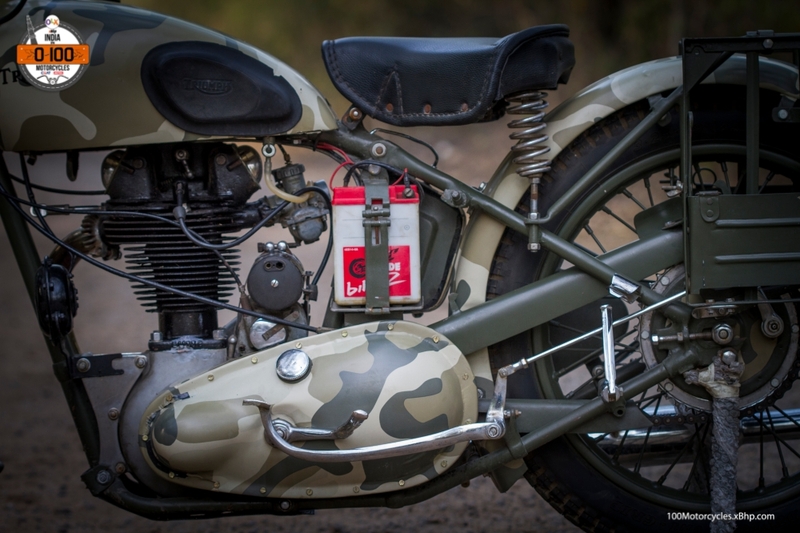 However, with the advent of World War 2 and the eventual destruction of Triumph’s factory during the German bombing, the British company took steps that proved pivotal for them in future. 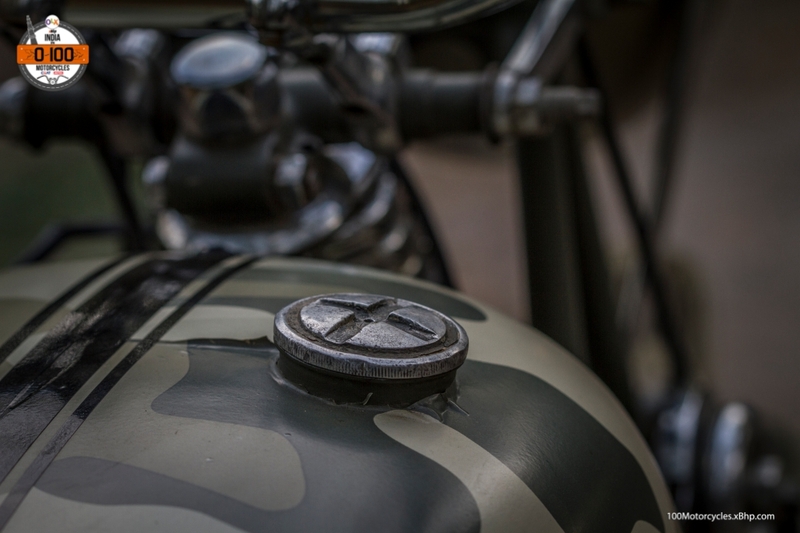 The importance of motorcycles in a crisis situation like War notwithstanding, Triumph made motorcycles for the British army based on the Tiger 80. This is the one they called the 3HW. 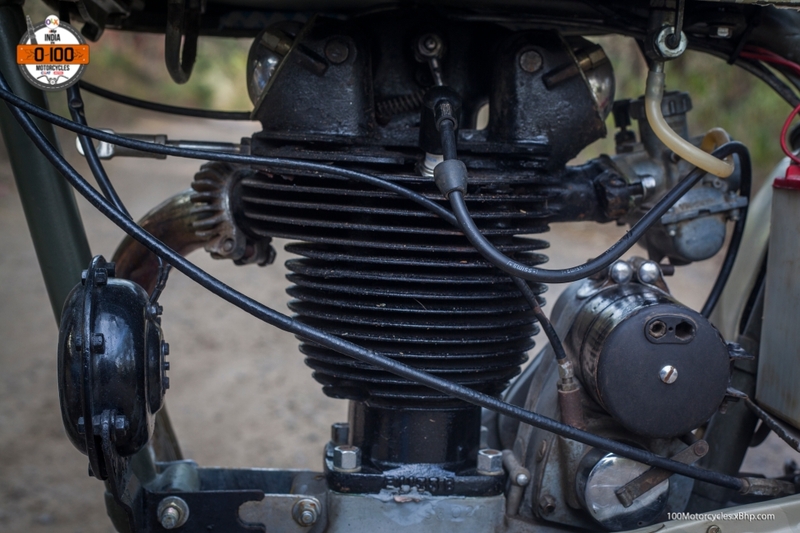 3HW had a single cylinder engine displacing at 342cc with an OHV (Overhead Valve) design. 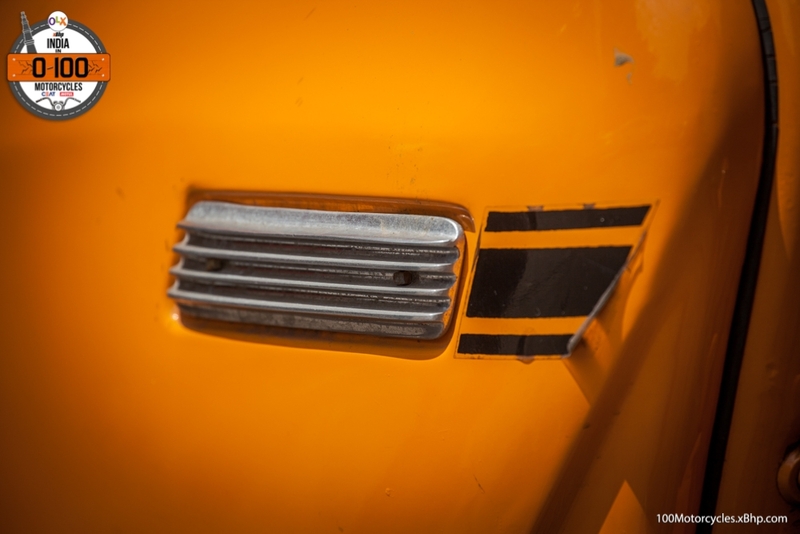 It was capable of producing 17 BHP at 5,200 RPM and hitting a top speed of up to 115 km/h. 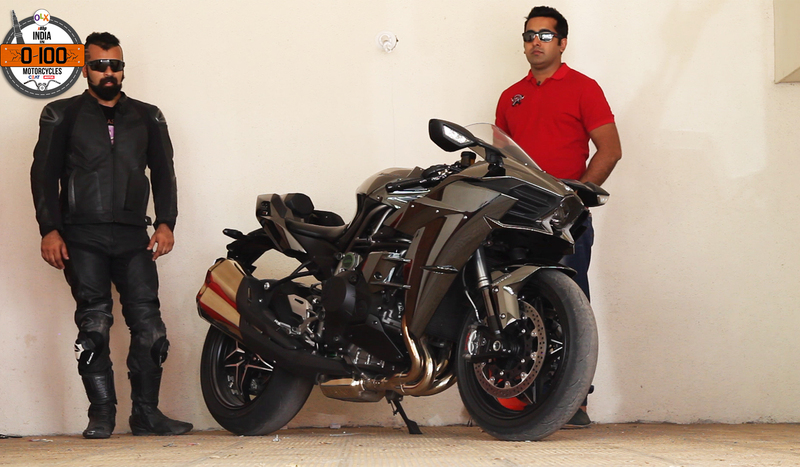 At 345 kg, it was a fairly light motorcycle to handle. 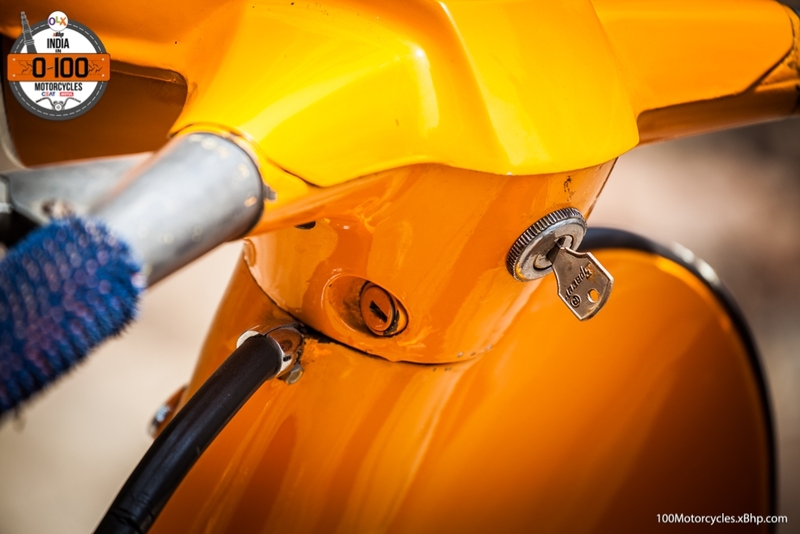 It is an original classic with Girder forks as front suspension and the spring seat due to the hard-tail chassis. 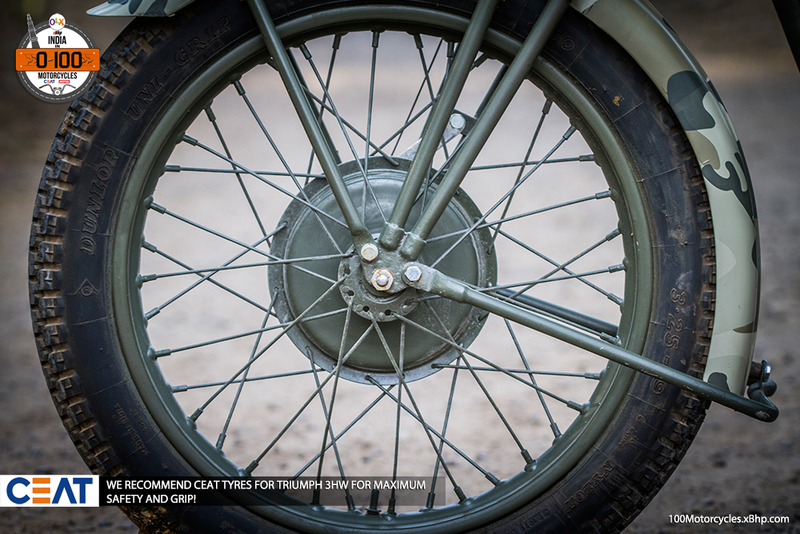 Both wheels were spoke wheels and not to mention that there was no concept of disc brakes back then. 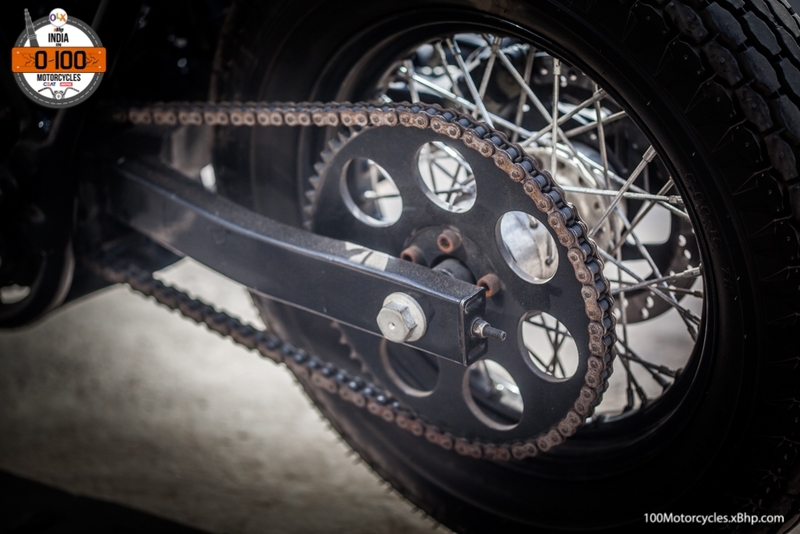 However, we would like to mention that the front suspension is particularly impressive. It looks complicated and interesting at the same time. 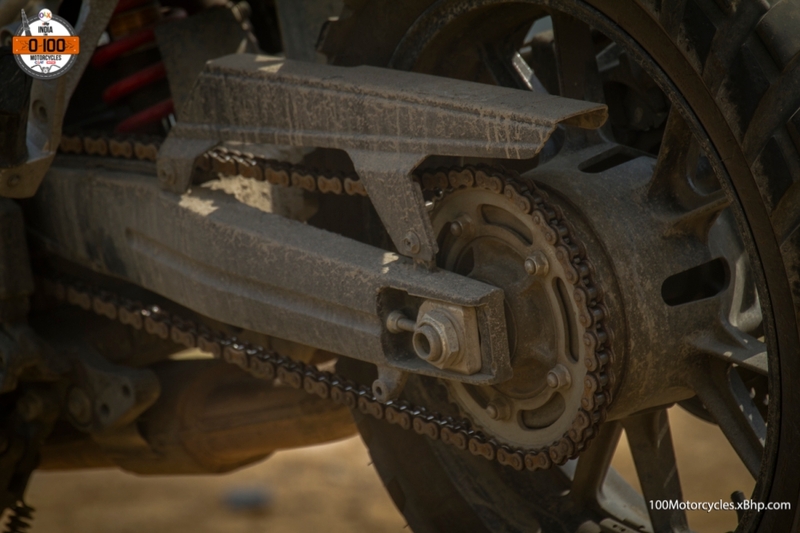 Girder forks do not operate like a pair of conventional shockers, they have rigid forks at both sides, yet, they are joined and operated by a small spring which is situated in the middle. Naturally, it is not very effective, but this was the trend back then. 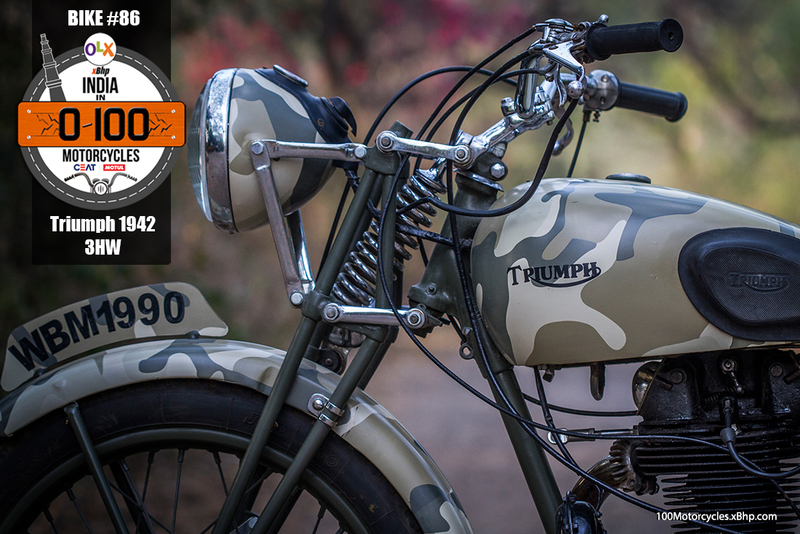 The 3HW is an absolute classic and because it was made for the Army, it has that matching paint scheme. 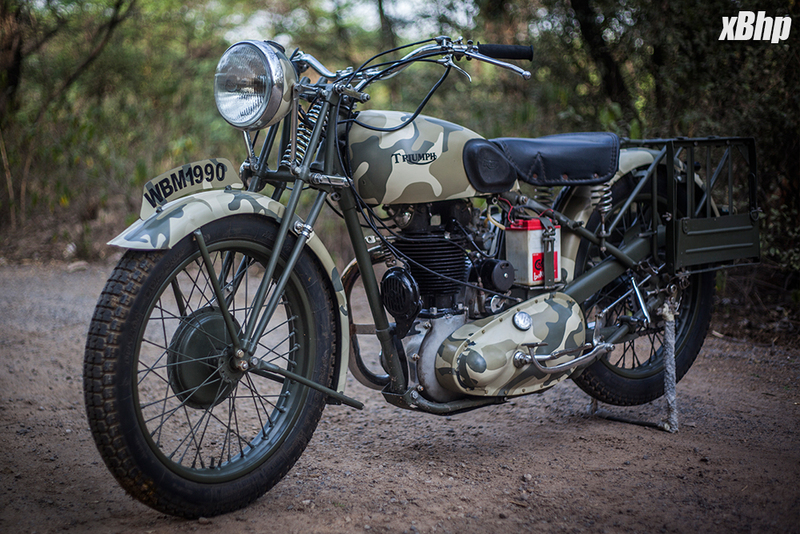 It would be near impossible to find a motorcycle like this today. In fact, we would be honestly surprised if you can at all locate one. But still, do try on platforms like OLX and who knows, you might get lucky. 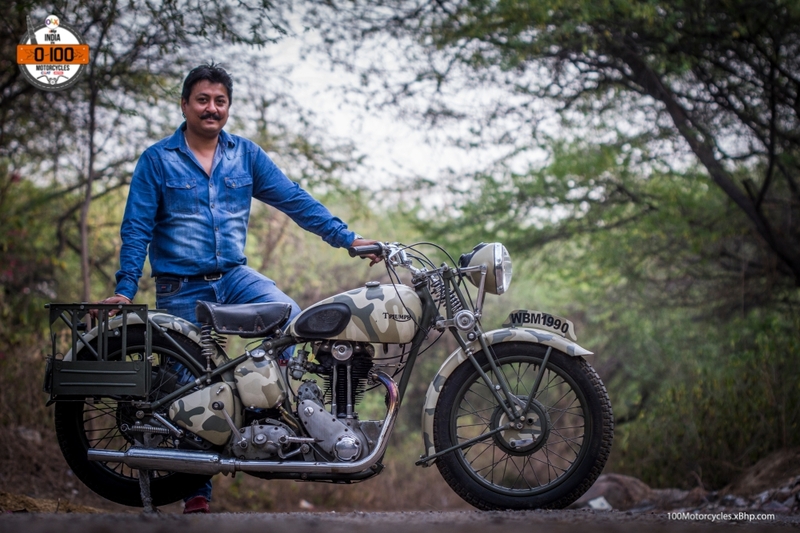 Lastly, we would like to extend our thanks to Mr. Rippu Daman Singh who was kind enough to spare his time and allowed us to spend some unforgettable moments with this unique piece of British motorcycling history. 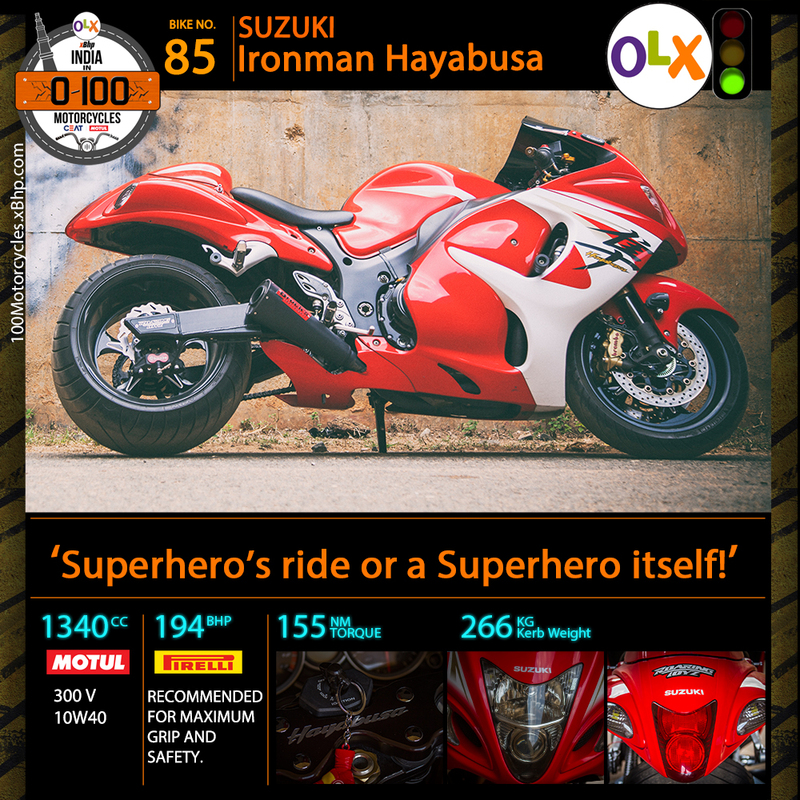 85Ironman Hayabusa – Superhero’s ride or a Superhero itself! 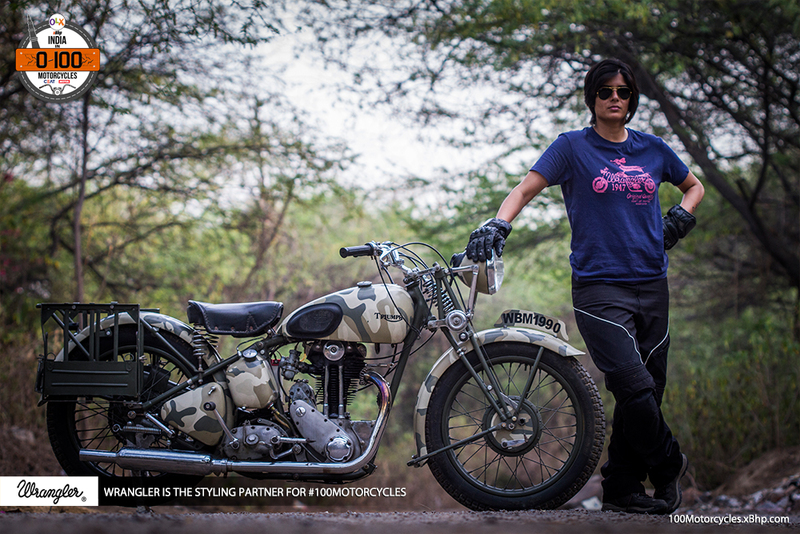 It is nothing short of extraordinary how different people perceive motorcycles as. More often than not they are personified and are almost considered as an extension of the rider’s character. They are not just owned, they are lived with. 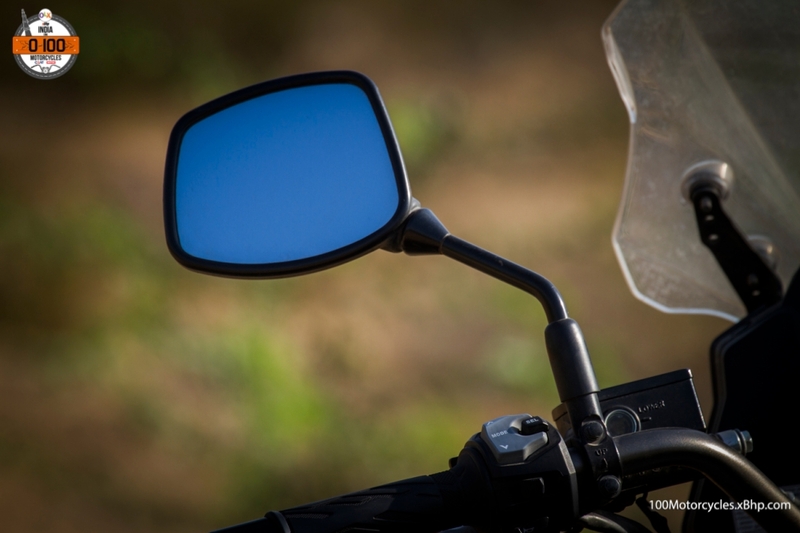 So much in a biker’s life depends on them. 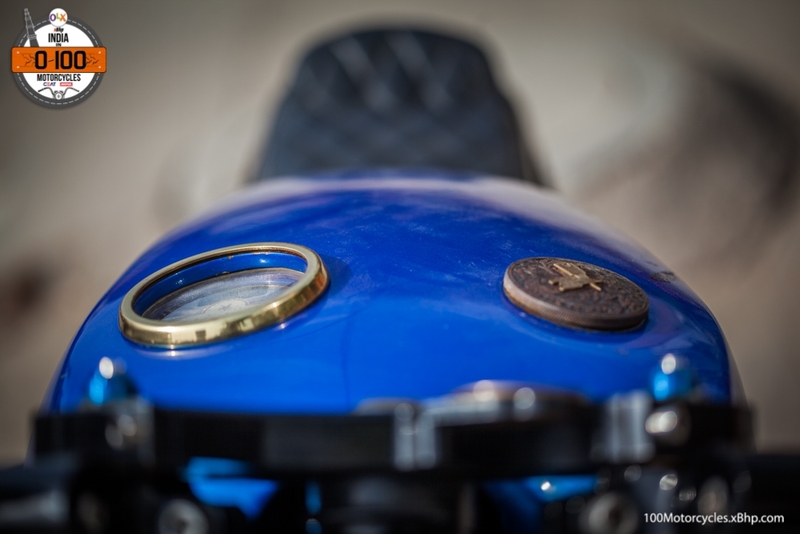 It should make you wonder, does a mere mention of personification enough for a motorcycle that you so dearly love? Running low on budget? 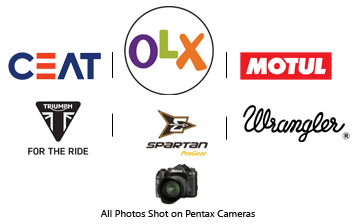 Buy your favourite Suzuki motorcycle on OLX. Unsurprisingly, the machine can make a person feel confident and powerful. A bit too much at times! 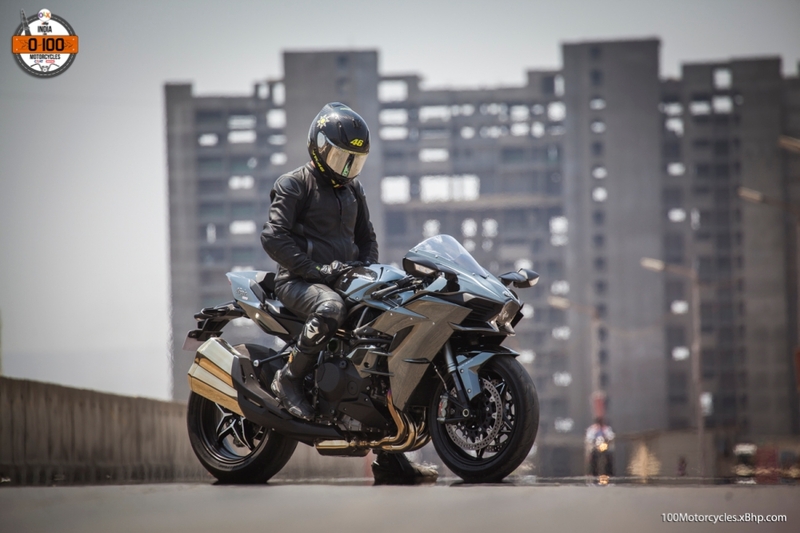 Meet the Hayabusa based on the theme of one of the most popular Superheroes today, Ironman. 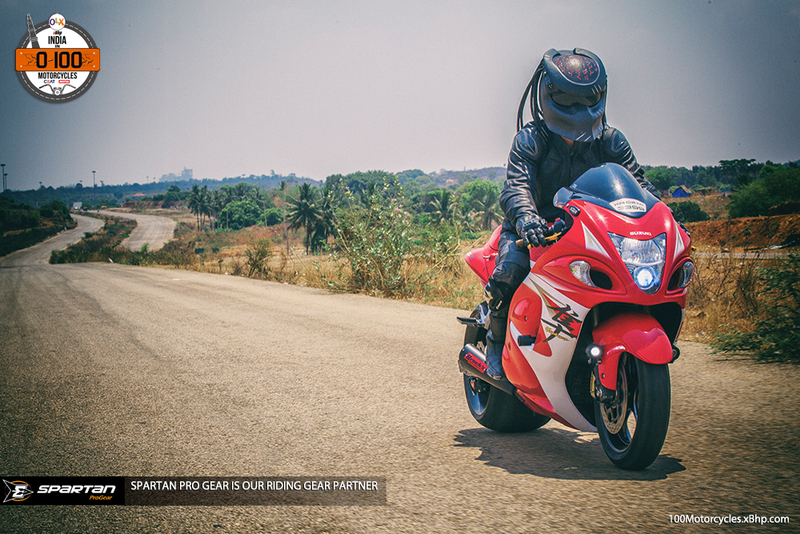 The owner of this particular Suzuki Hayabusa, Mr. Naveen Gowda, went to great lengths to further bulk up the fat of the motorcycle. While the front is unchanged, it is the rear end which has received quite a bit of custom treatment. 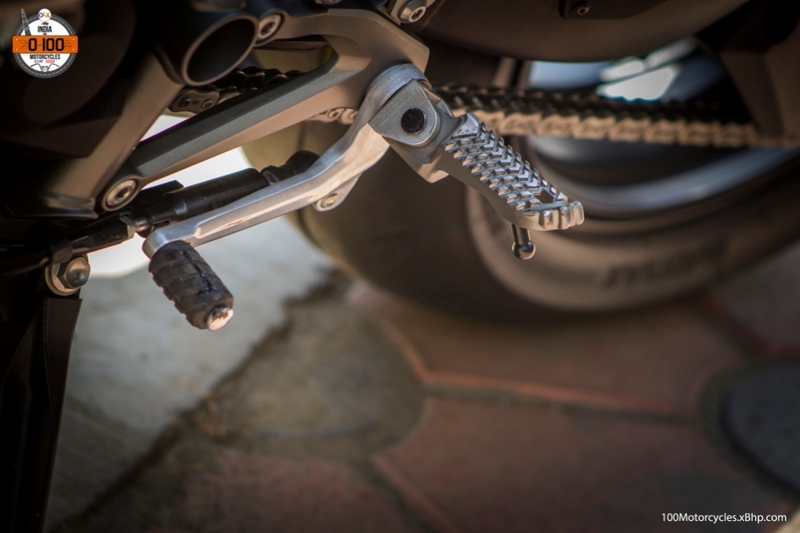 The help comes in the form of Roaring Toyz, a US brand specializing in providing some of the most outrageous modifications to the motorcycles appearance and suspension. Other than the tail-section bodywork, the whole rear chassis, suspension and tyre have been changed. 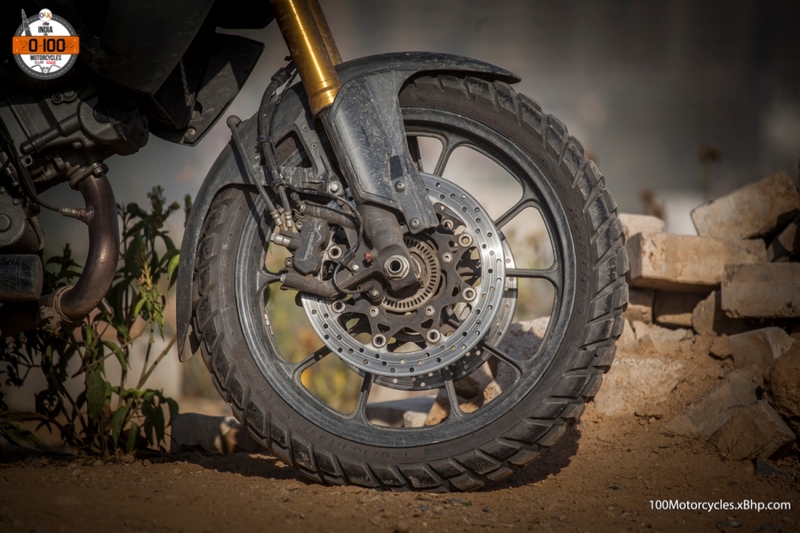 The new rear tyre is an unbelievably massive 330 mm and to accommodate it, the swing-arm is different as well. Everything comes from Roaring Toyz. 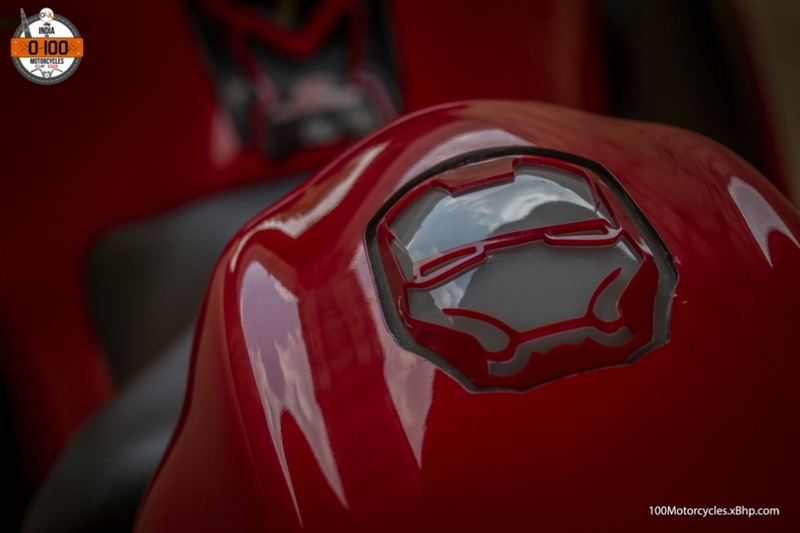 Colour red is an important part of Ironman (suit) and so, the motorcycle is in red colour. But, what about the ride? 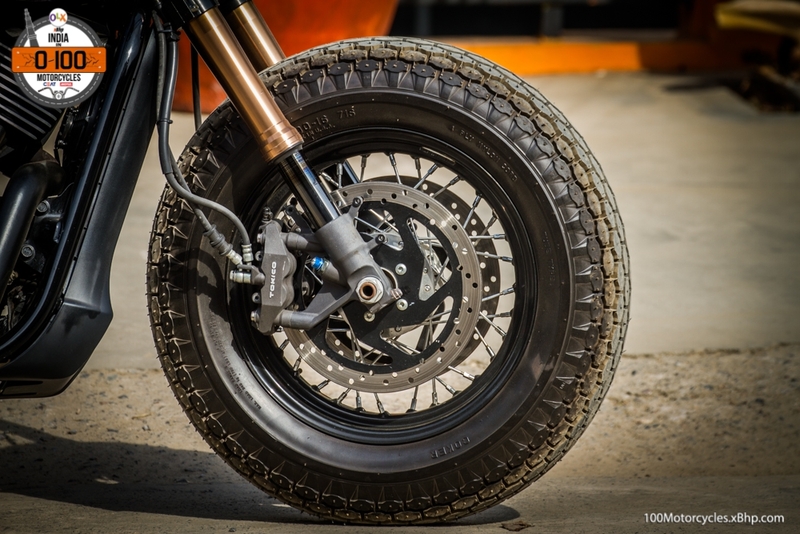 That 330 mm rear tyre must make things a bit complicated, won’t it? Well yes, it does. 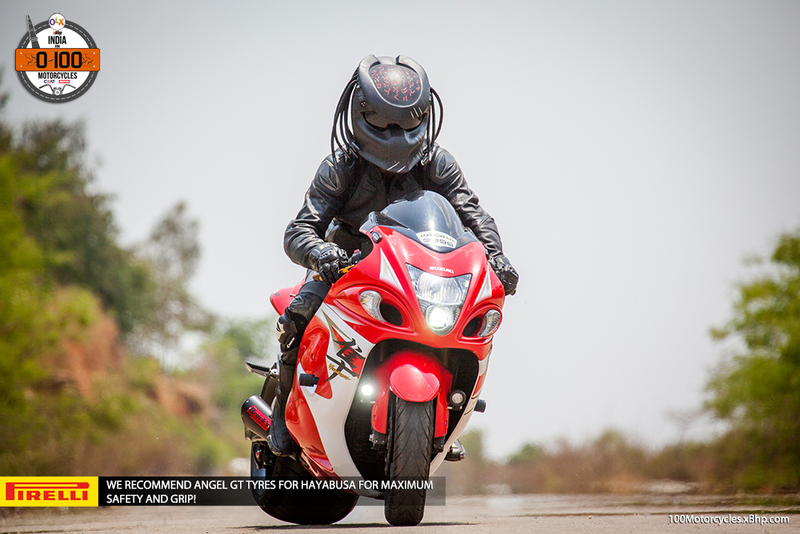 Hayabusa is not a small motorcycle even though the low seat height makes it quite approachable for shorter people as well, however, it is, by far, not a lightweight sportbike and it won’t filter through traffic like one especially through any tight spaces. 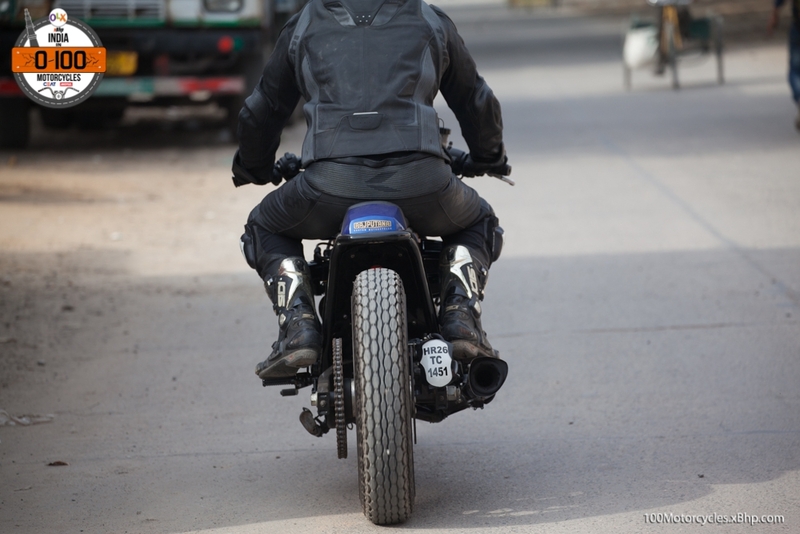 That ultra fat rear tyre only makes things that much more difficult to manage. 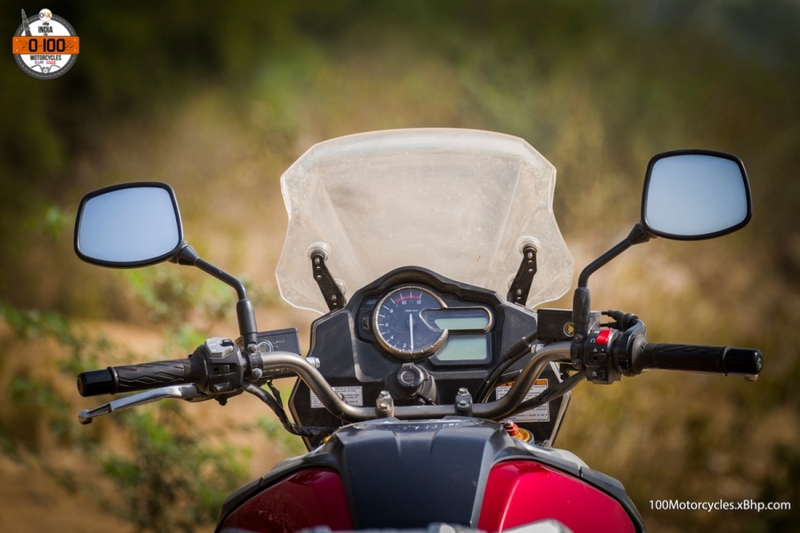 Extra effort is needed by the rider to turn the motorcycle whether to manoeuvre it in traffic or for a turn. Straight lines are fine and the motorcycle feels super stable. 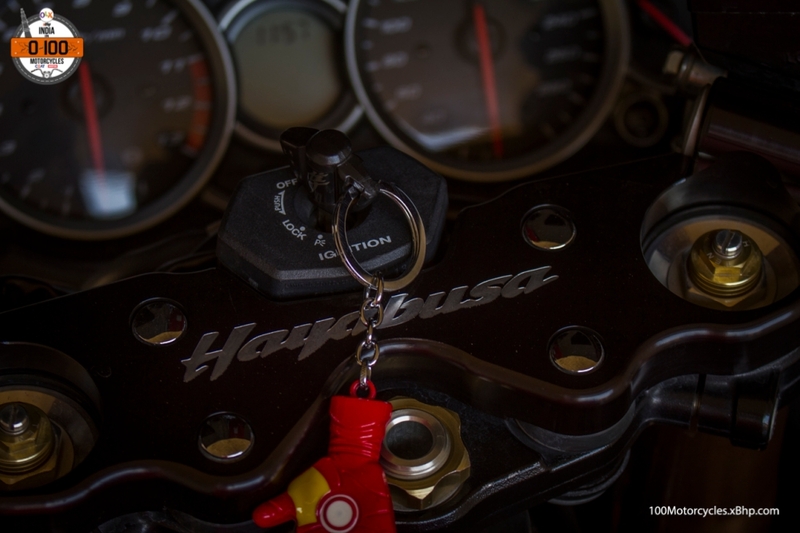 This “Ironman Hayabusa” can make any rider realize the importance of a strong core (lower body strength). You just can’t muscle it around using only the hands and shoulders, you need your legs, especially thighs, and the lower back strong to help it change directions. 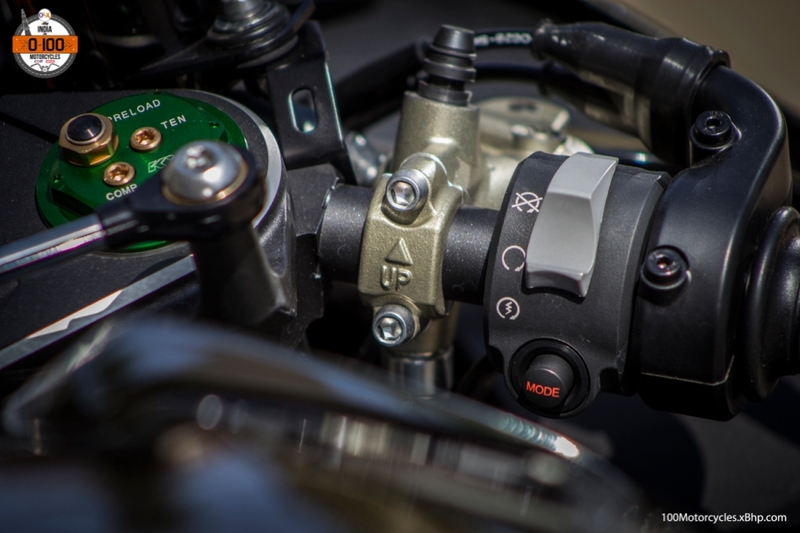 However, the biggest gain of all these changes remains with the visual impact the motorcycle creates. 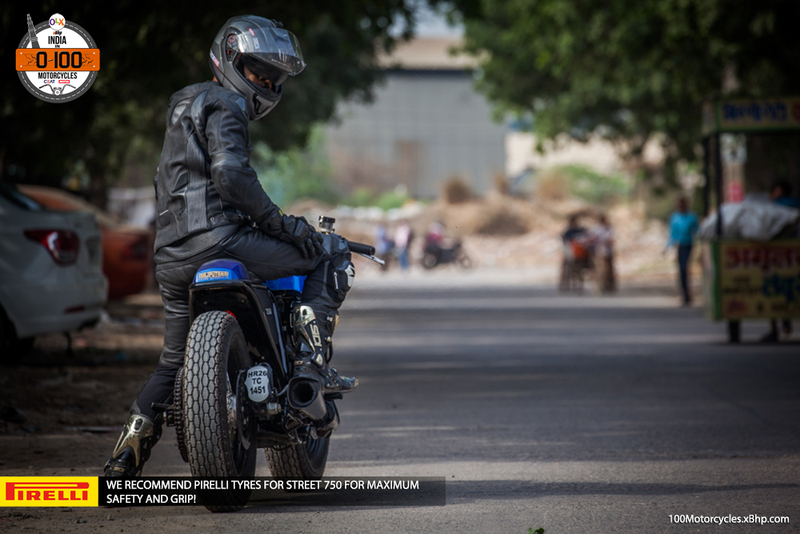 It just makes everyone drop their jaws on the road looking at that tyre. It doesn’t even feel like a motorcycle at times. 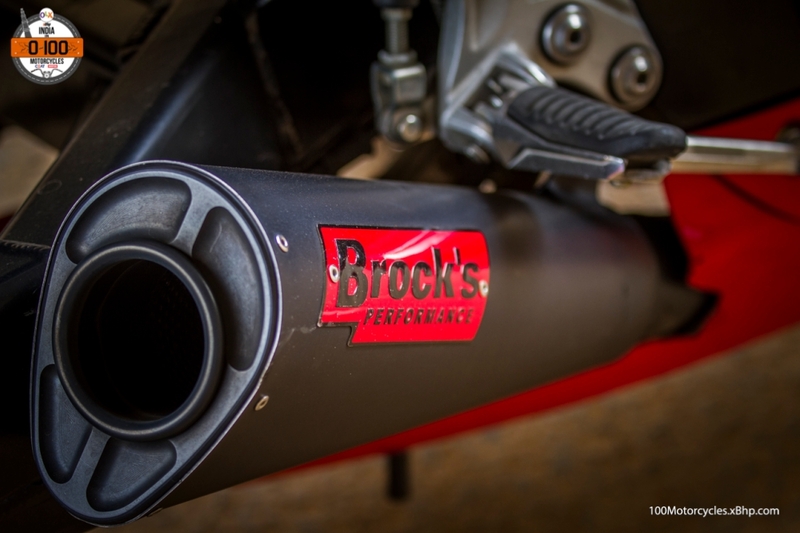 Lastly, the after-market exhaust is from Brocks Performance. 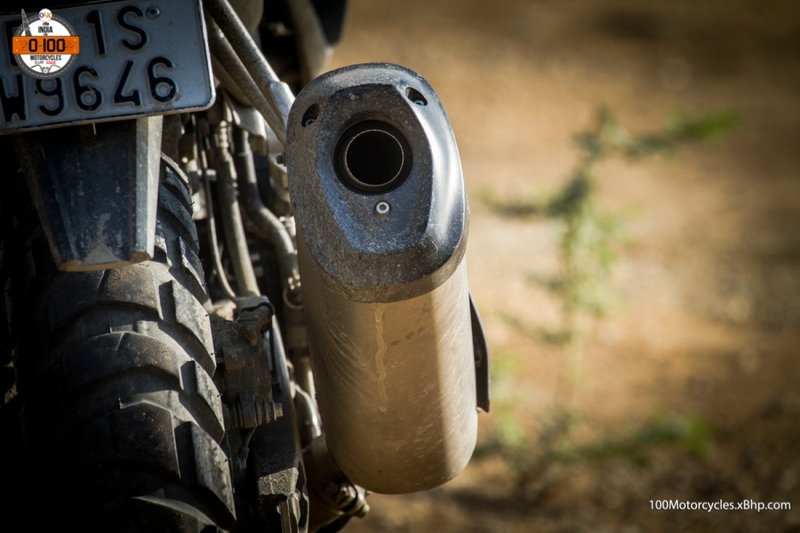 After all, the bike’s sound should complement the looks. And it’s loud! 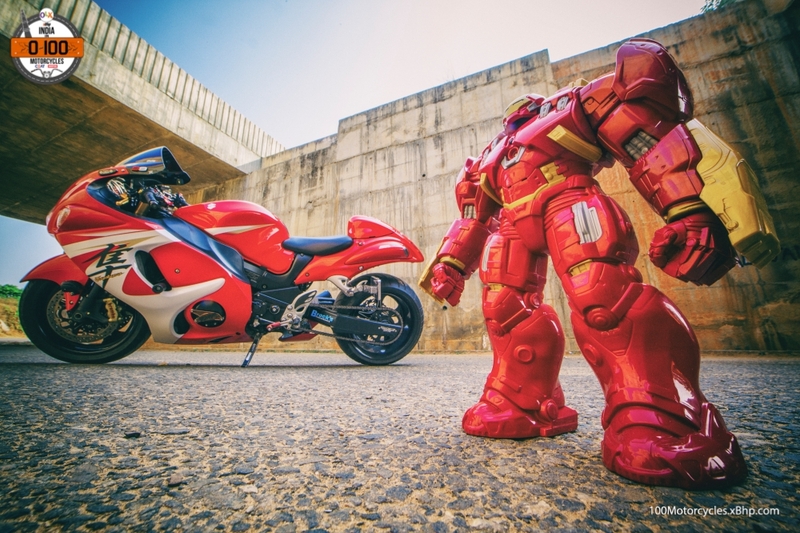 Suffice it to say that if Ironman would ride a motorcycle, this would be the likely one. 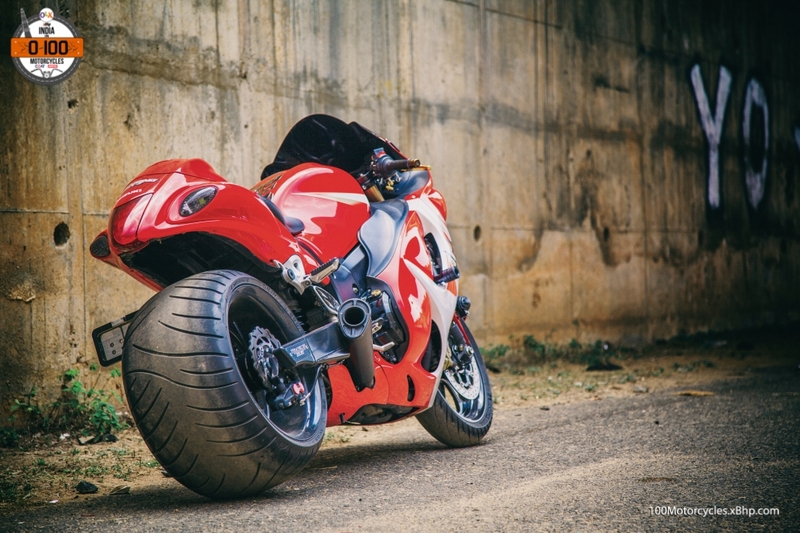 Hayabusa is one of the world’s fastest motorcycles in production and its legend about being the first ever road-going bike to cross the 300 km/h mark will always remain unmatchable. 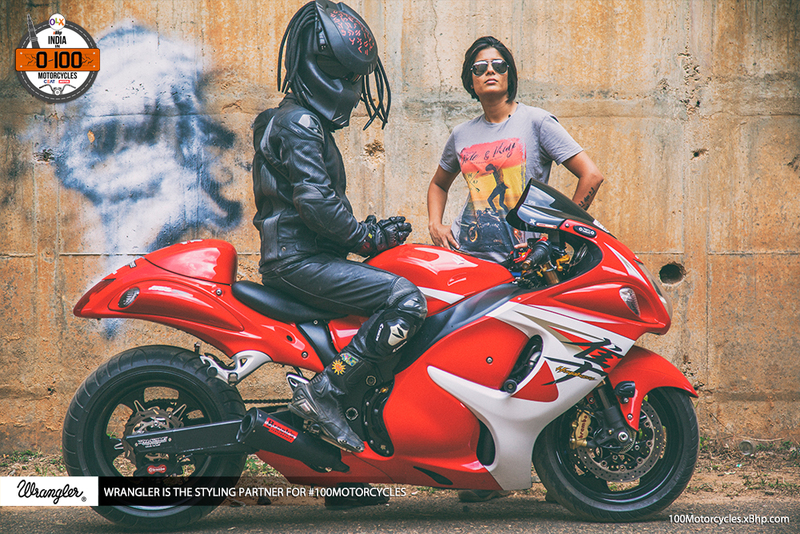 What else could have been a better choice for a motorcycle than this Japanese Hyper-sport. 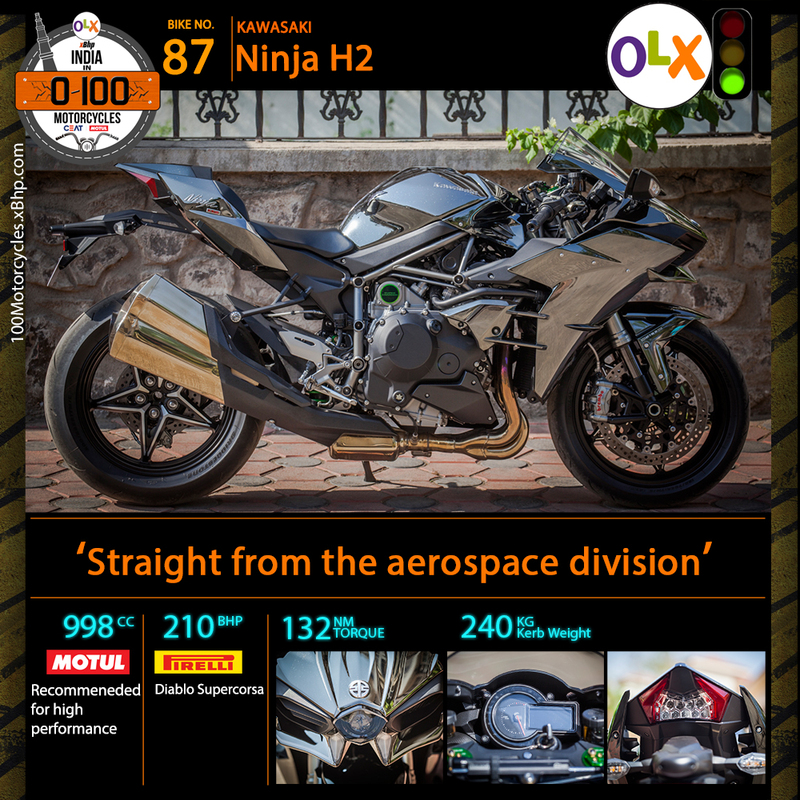 While this is a one-off, you can always find a Hayabusa under your budget as a second-hand on OLX. 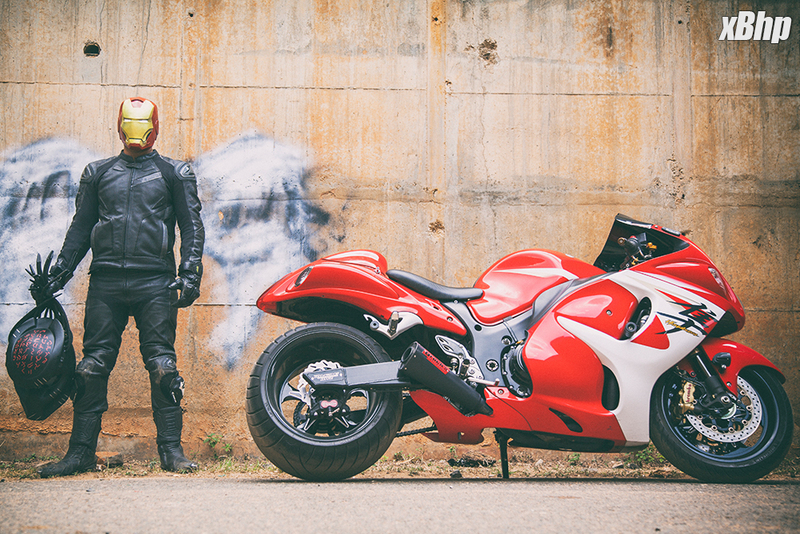 So give it a try and you can make your own Ironman Busa! 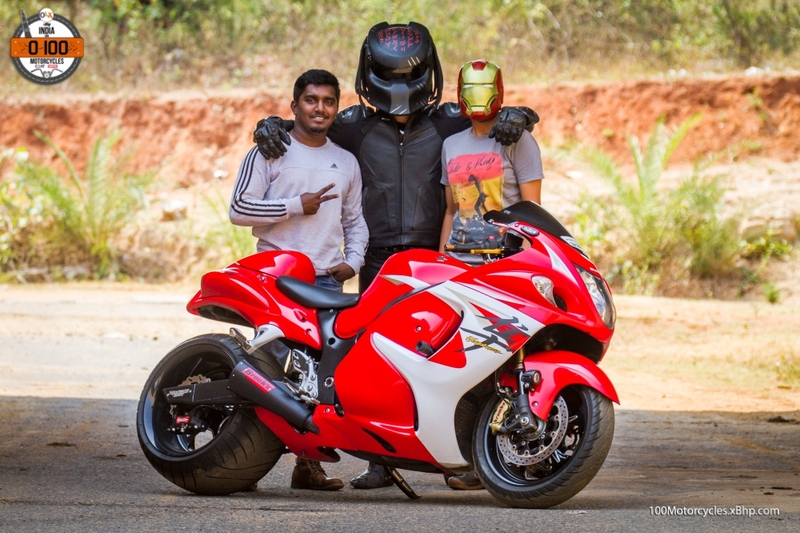 We would also like to thank Mr. Naveen Gowda for sparing his time and letting us spend some truly enjoyable moments on his special Suzuki Hayabusa. 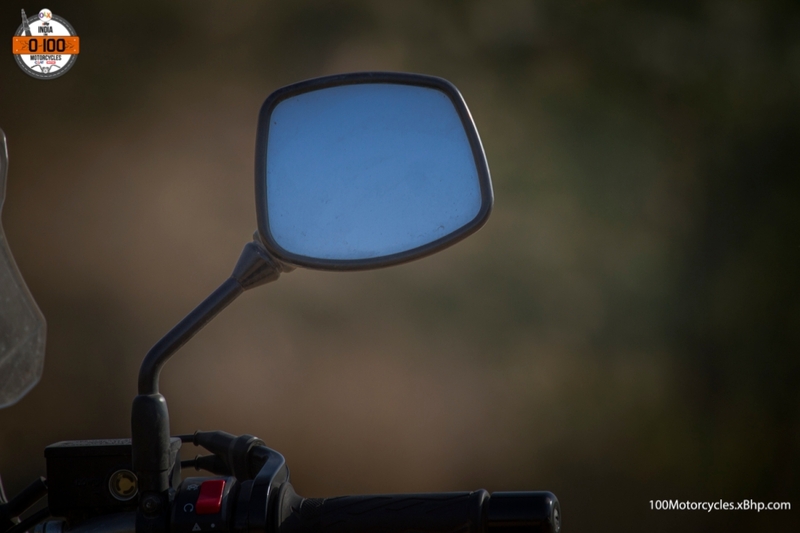 Buy a used Harley Davidson on OLX. 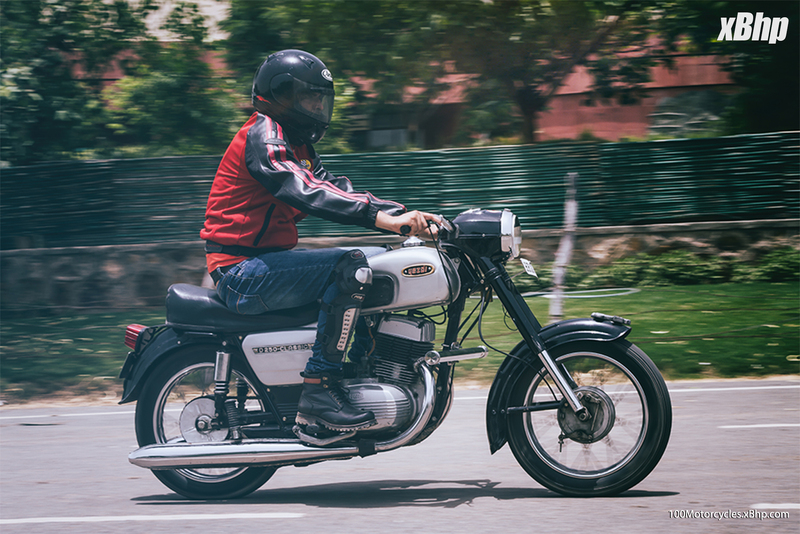 Customizing a motorcycle is not a new thing in the automotive industry in general, but it still hasn’t quite caught up yet in India. First and foremost, the trend of changing the appearance of a motorcycle to match one’s vision is at an infant stage here. 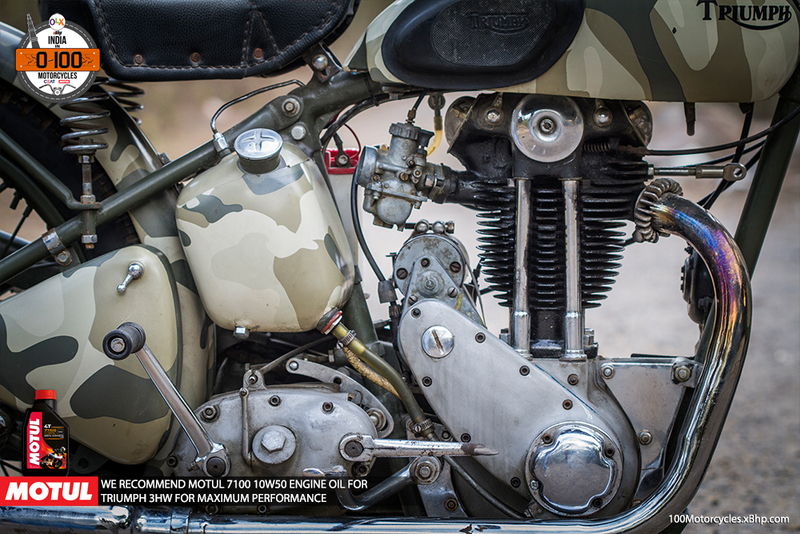 This is true even though we all are aware of some very interesting custom motorcycles in the country. Yes, they exist no matter in how small a number. Running low on budget? 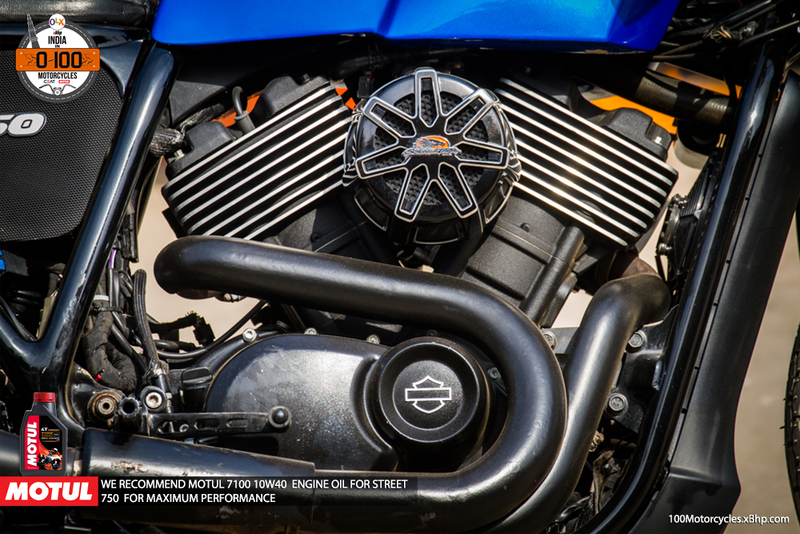 Buy your favourite Harley Davidson motorcycle on OLX. 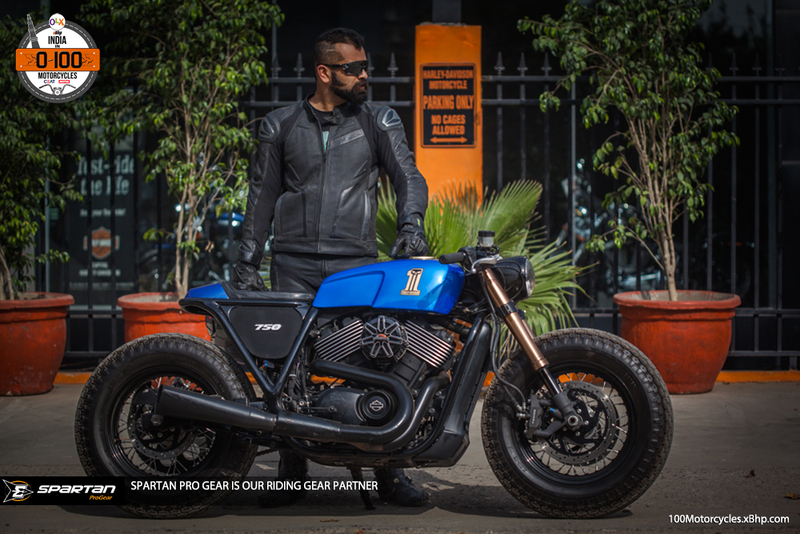 There are a few customizers who have developed a reputation of creating some praiseworthy variants of production motorcycles starting from Royal Enfield to Harley Davidson. 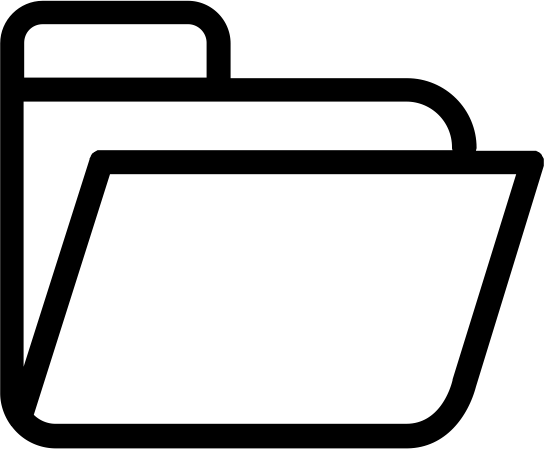 But one name is hugely respected and, if we are not wrong, is spearheading the custom culture in India. 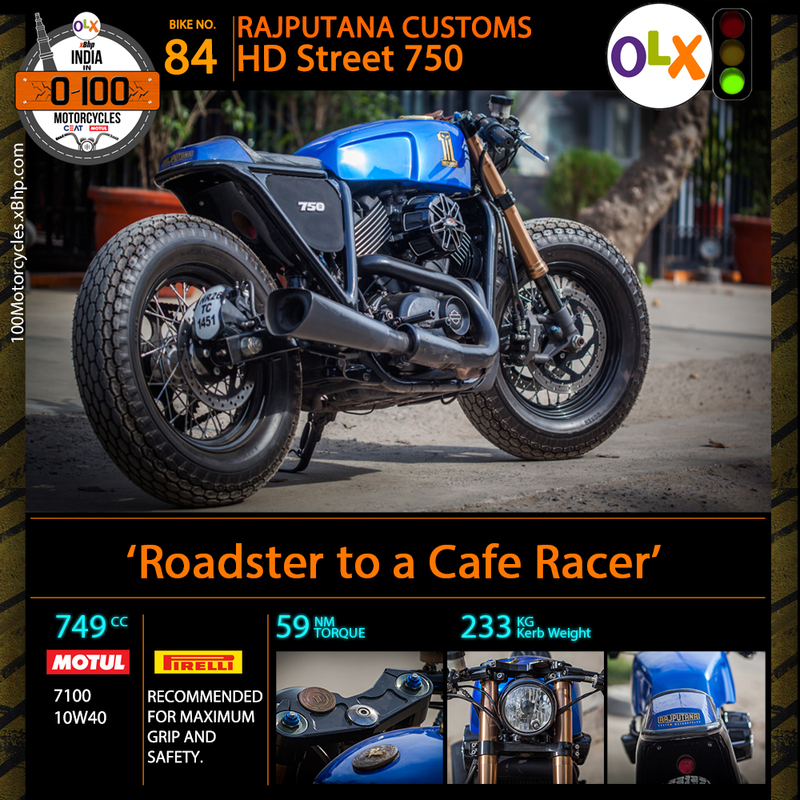 It is called Rajputana Customs and it’s based out of Jaipur, Rajasthan. 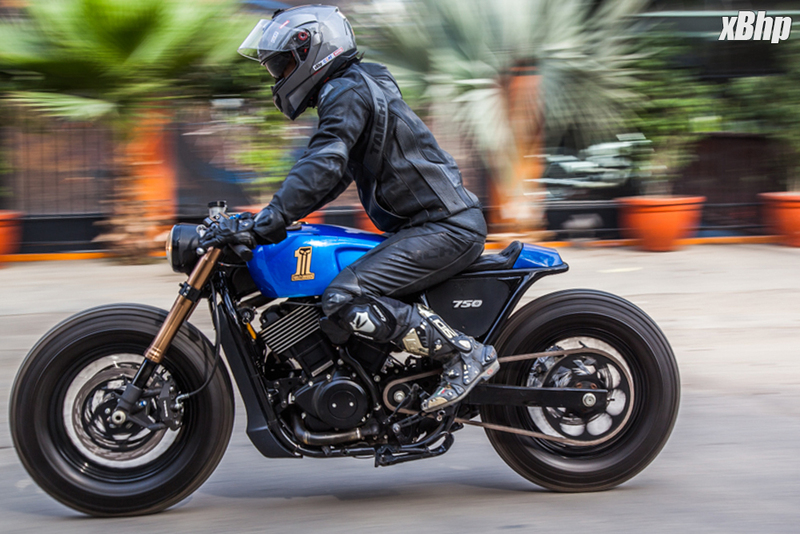 Among the fleet of motorcycles they have customized, there’s a Harley Davidson Street 750 among the latest ones. And you’d have to look a bit close to understand that it is indeed the smallest and the cheapest HD sold in India. Other than the engine, it seems everything else has been changed or redesigned to give it a completely new look. 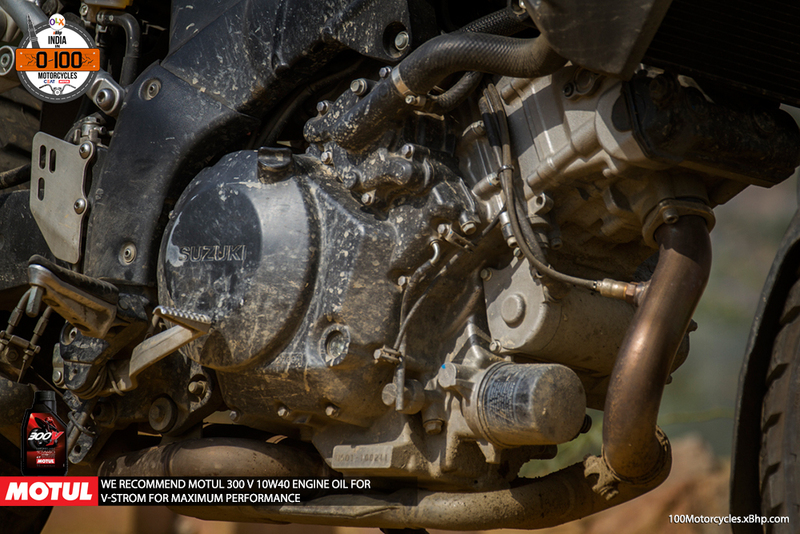 The liquid cooled, DOHC, 8-valve engine remains unchanged. 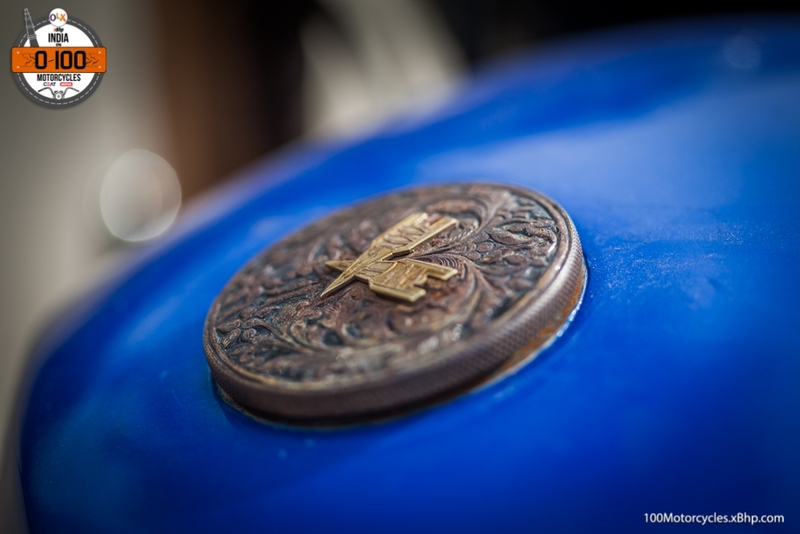 We would not really call the Street 750 a cruiser because it’s not really a laid back motorcycle. 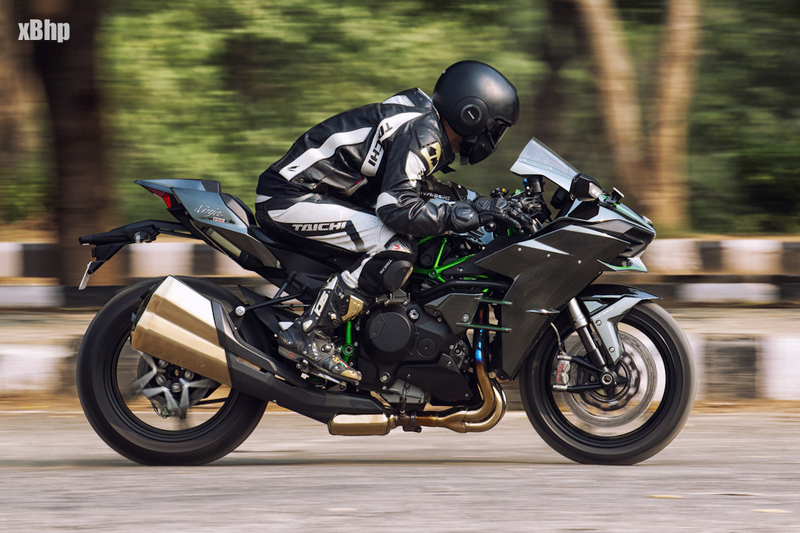 Yes, it will eat kilometres like anything but the engine characteristic is more towards performance than to be ridden lazily in a typical cruiser manner. 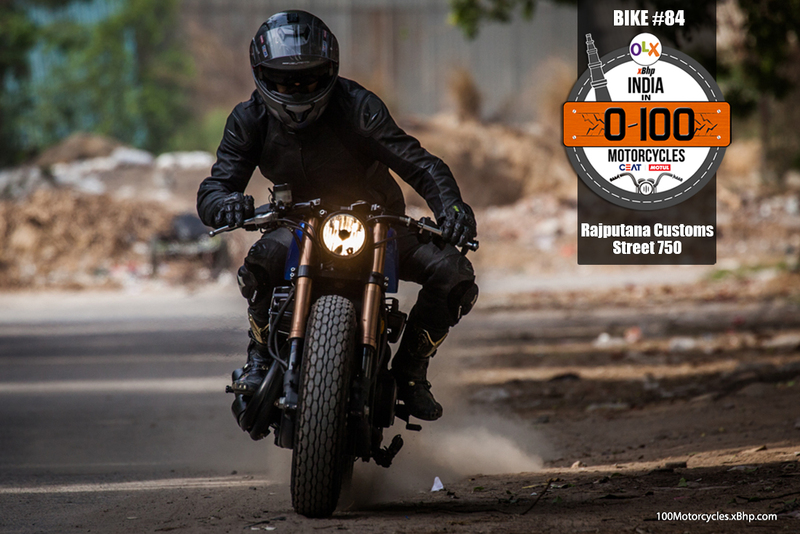 It is more of a Roadster, like the Iron 883, a street bike which is very much capable of taking long distances in its stride in a single go. 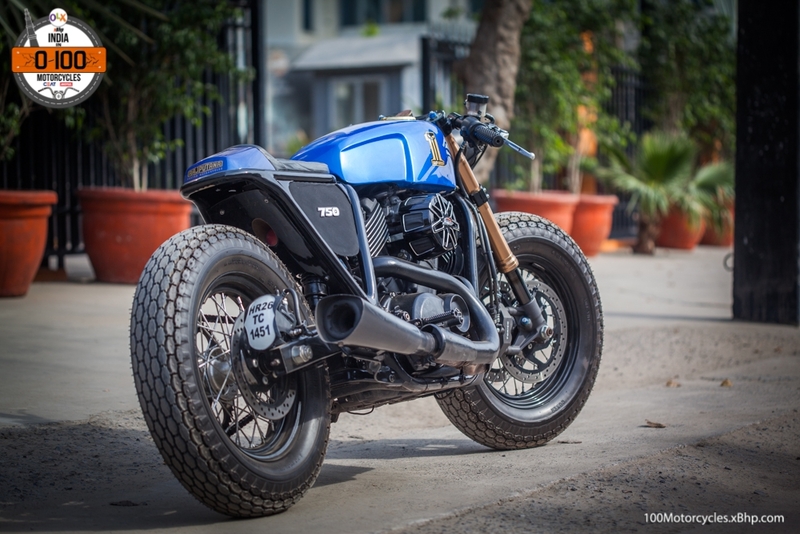 So, we believe, turning this Roadster into a Café Racer is an apt thing to do really. 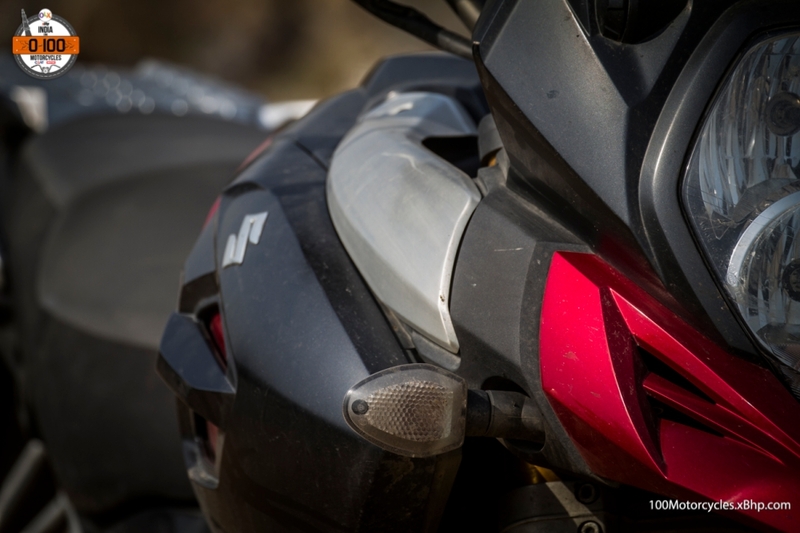 In its new avatar, the fuel tank is different and so is the seat. 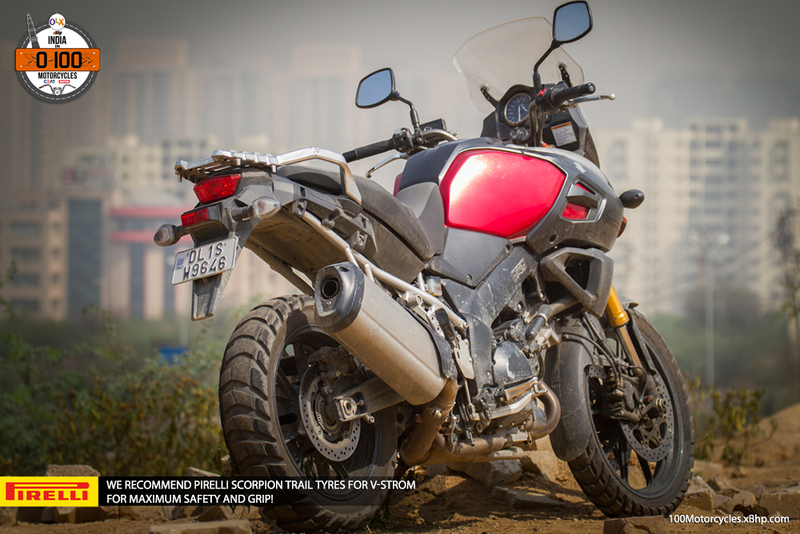 It’s a visibly thinner seat and there’s no provision for a pillion. 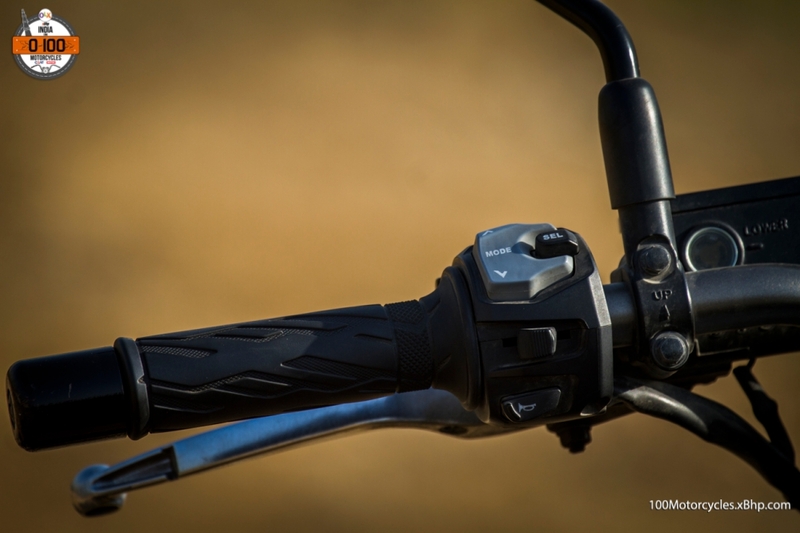 And the handlebar is also smaller and lower. 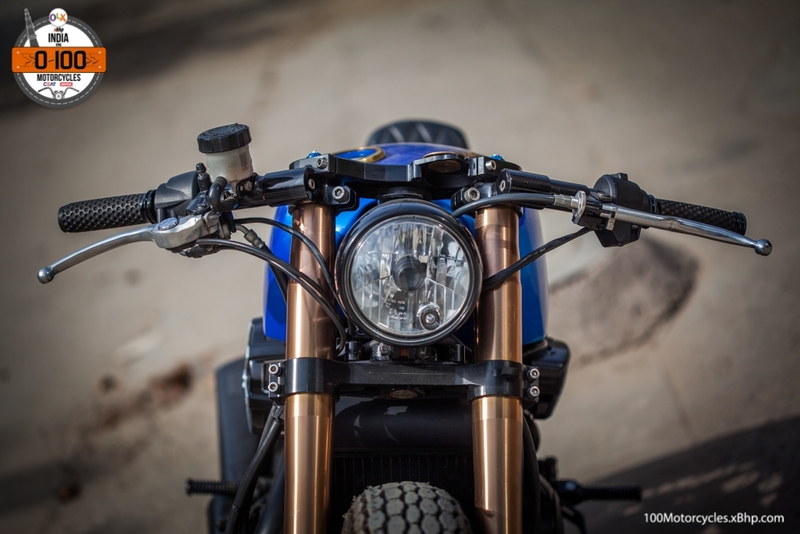 All in a conventional Café Racer form. It is a minimalistic design with only the fuel tank playing as the bodywork (if we can call it that way). 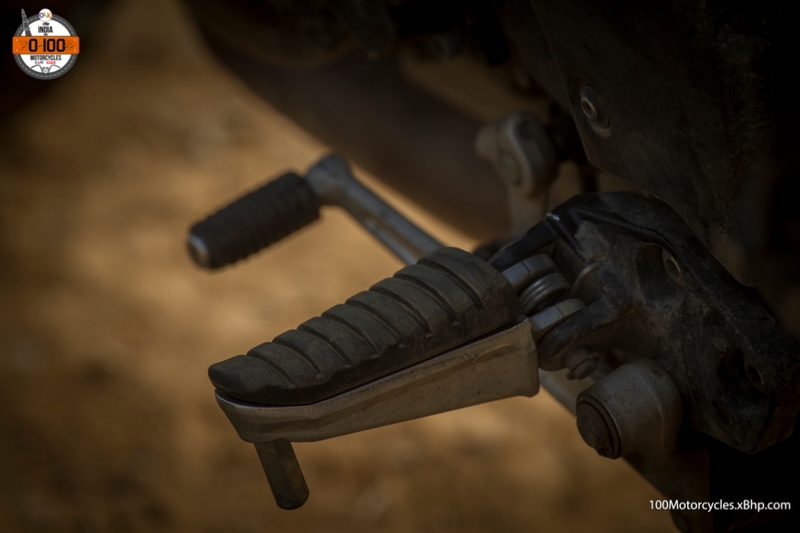 There’s neither a rear fender nor a front mudguard. 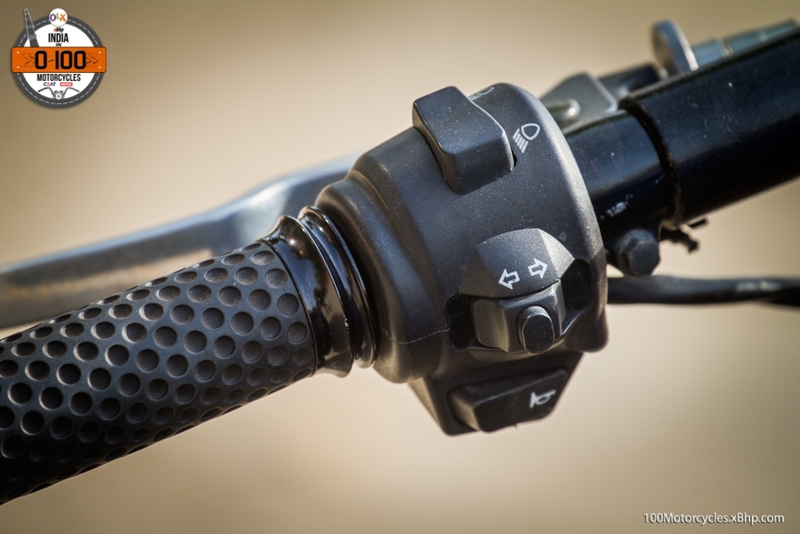 Another change is the suspension at both front and rear. 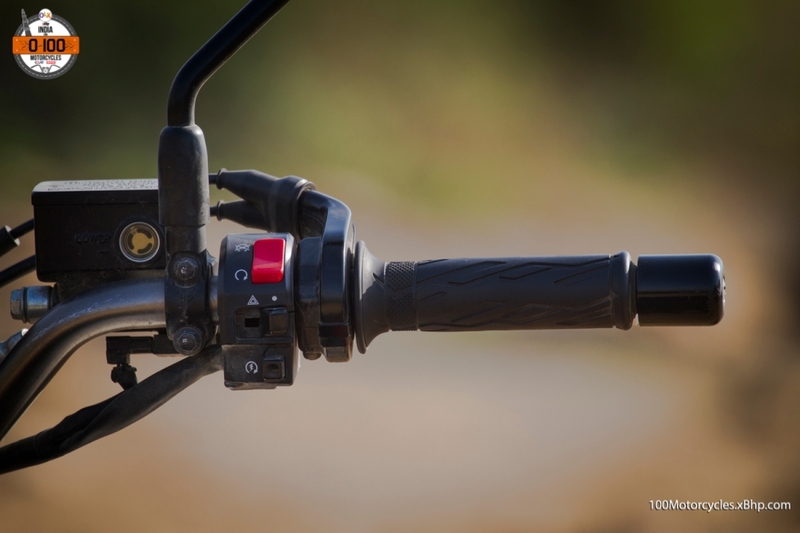 At the front, there’s a pair substantial looking upside-down forks adding beef to the whole design while the twin shockers at the back have been replaced by a mono-shock adding sportiness. 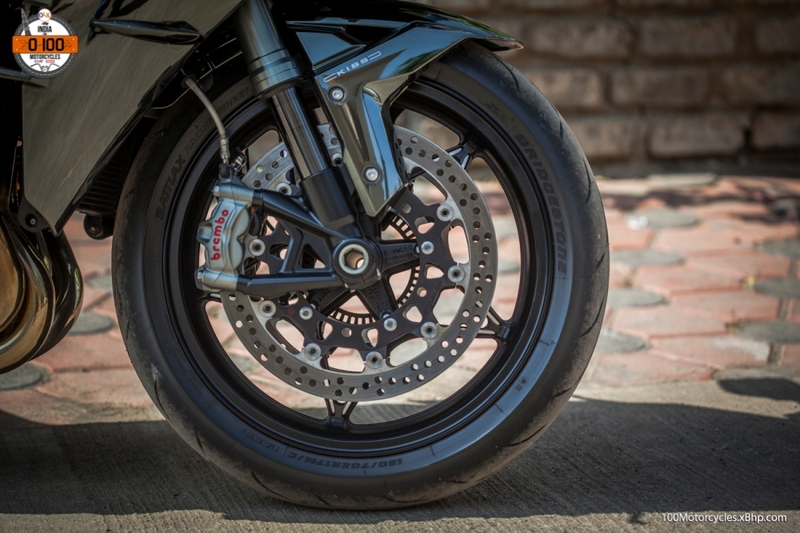 Also, the standard single disc brake at the front has given way to twin-disc setup along with the capable Tokico callipers. 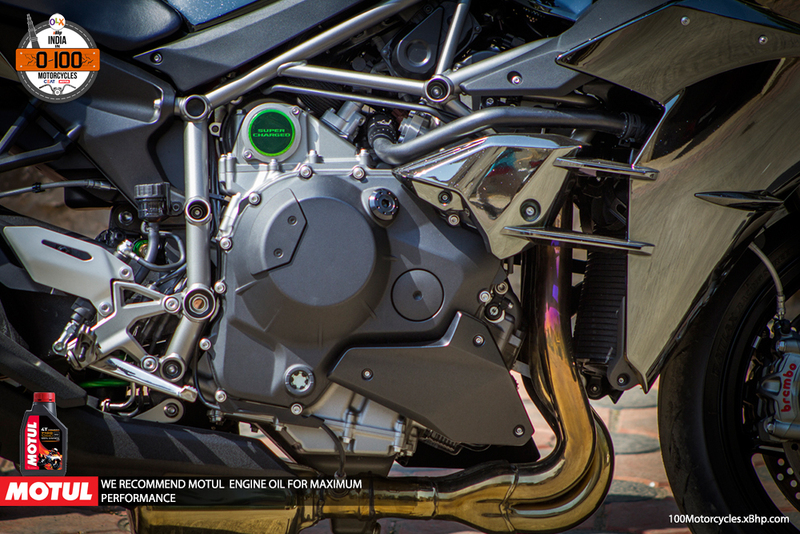 This isn’t only a showoff motorcycle. Both wheels are different as well. 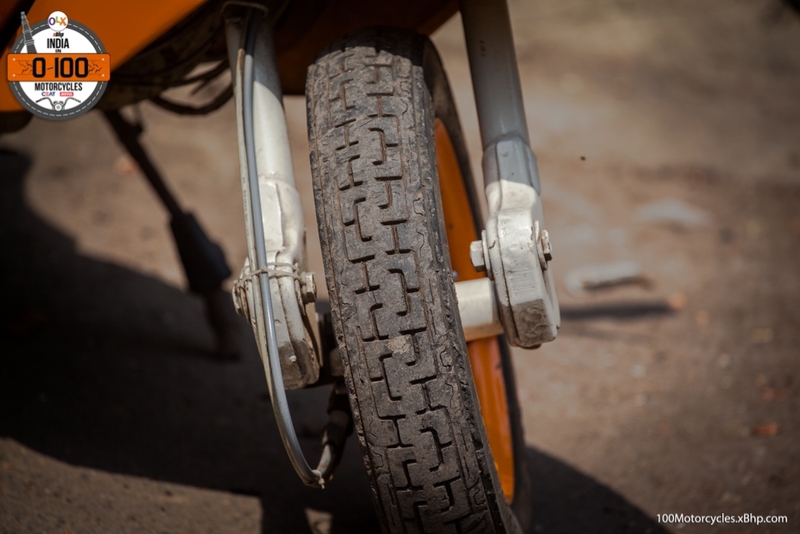 There’s now spoke wheels doing the duty along with bubble tyres at both ends. While adding to the looks, they do make the handling a bit uneasy especially due to the bulbous front. 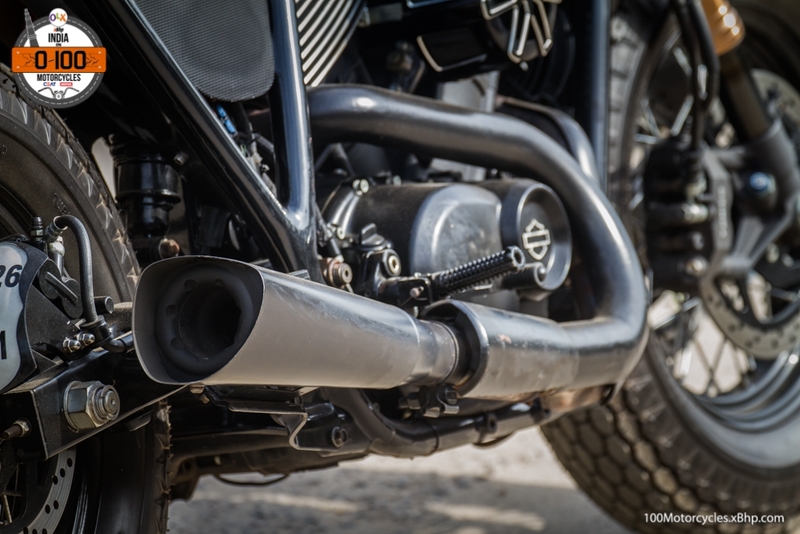 Lastly, the exhaust produces more growl than the stock one. 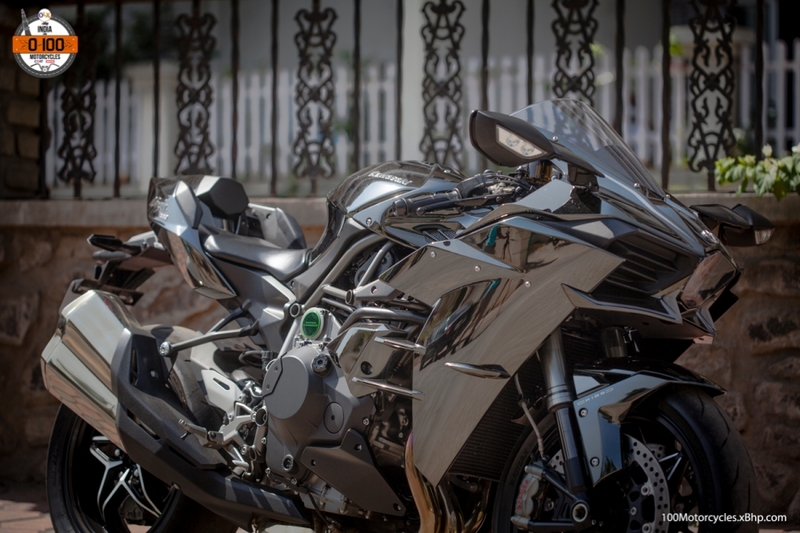 It is a very interesting motorcycle no matter you like the ride or not. 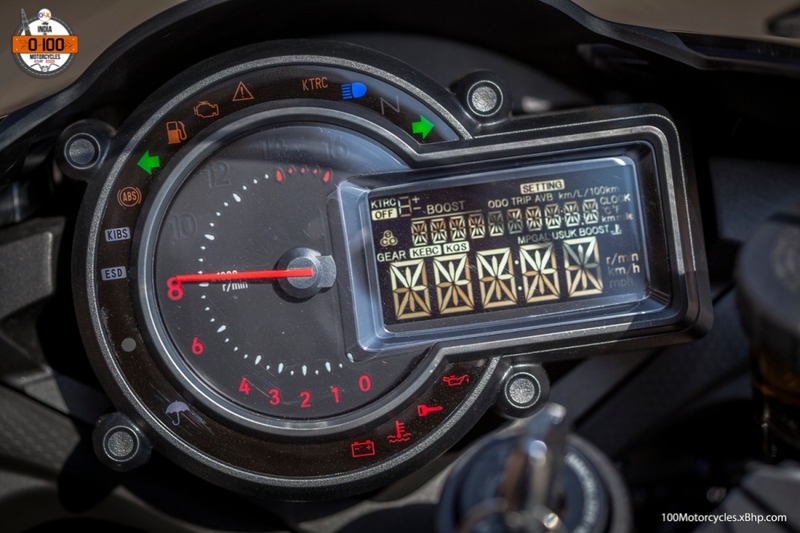 The good thing is, it looks like it can be made as a production motorcycle. It is a bit impractical but not outrageous to not be production worthy. 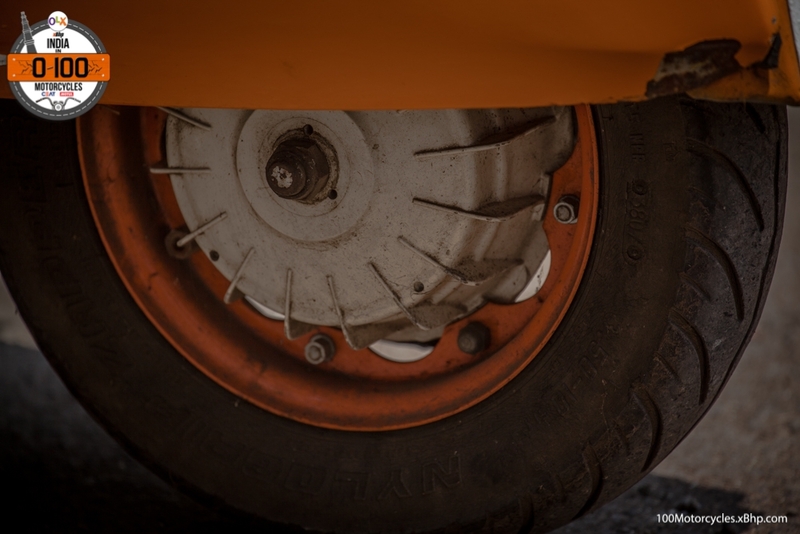 Clearly, it would need to have certain changes like the addition of front and rear fenders, provision for the license plate and things like that. 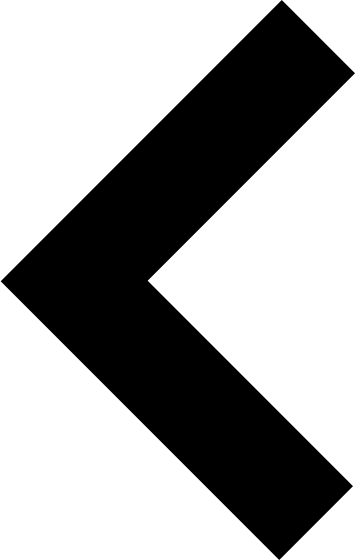 We are sure that if HD would make one, it would be quite successful. 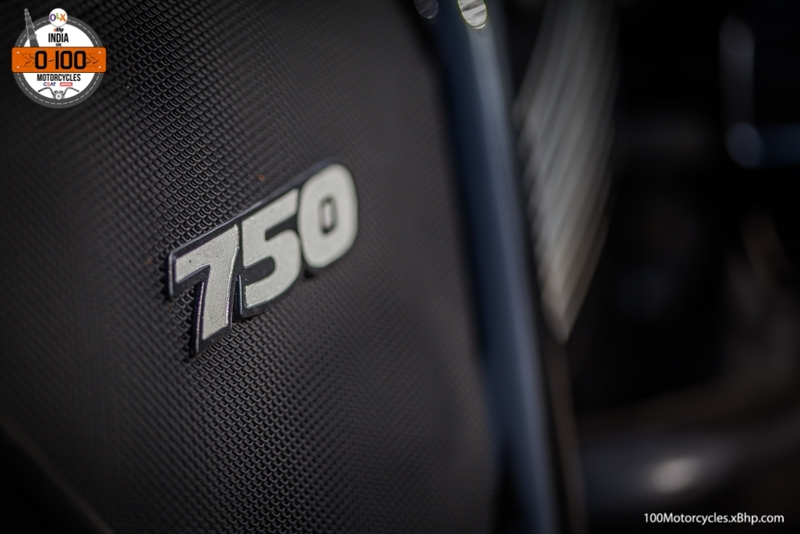 Street 750 is a great effort by the Motor Company. 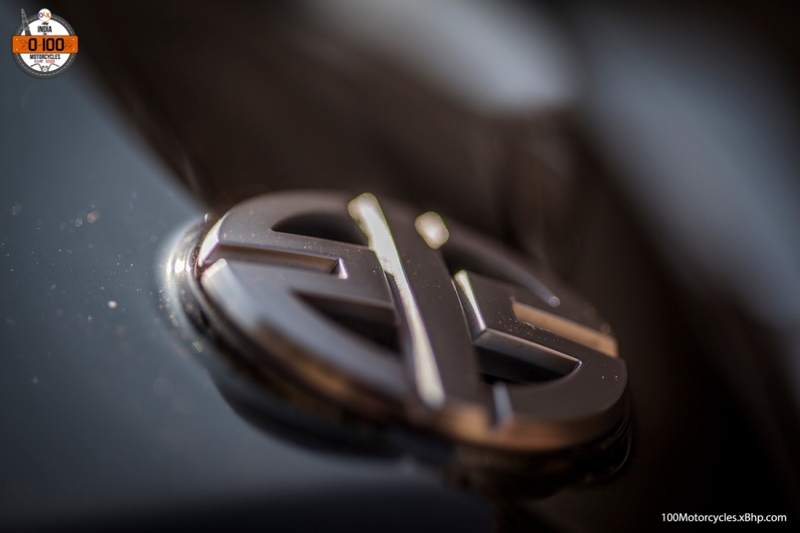 For sale in India, it is made in India and that’s a proud moment for us. 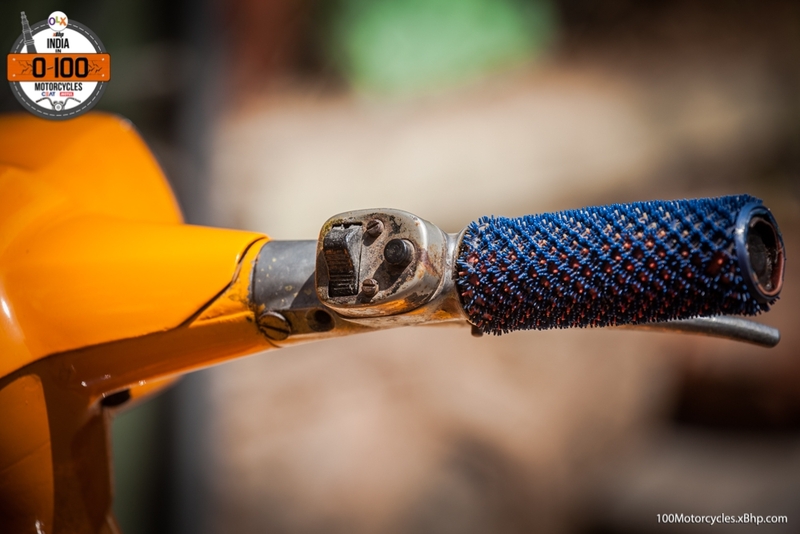 This also makes it very affordable and a great way to enter the Harley Davidson lifestyle. 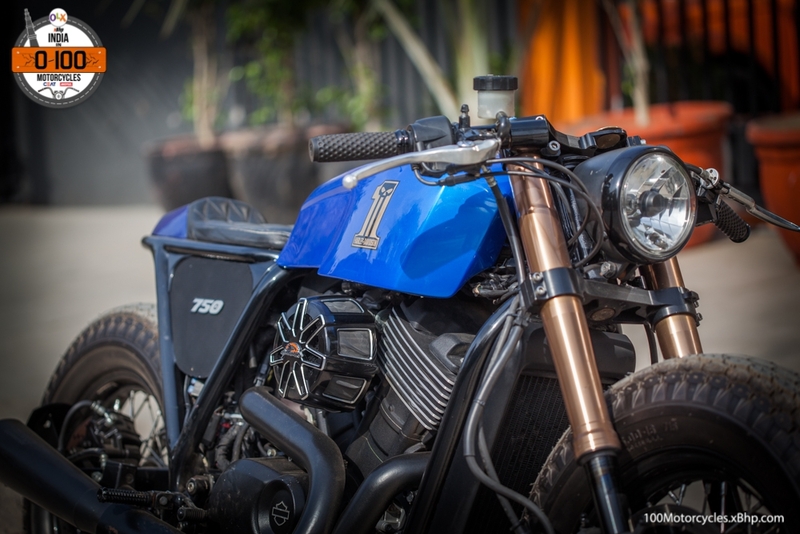 It is only appropriate that Rajputana Customs chose this motorcycle to give it a sportier persona that too in a classic way. We thank them for that. 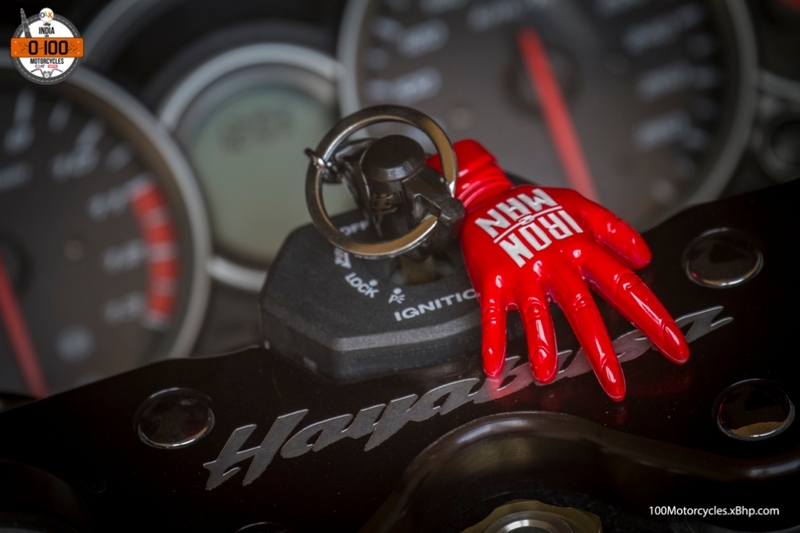 Recommended for superior road grip! 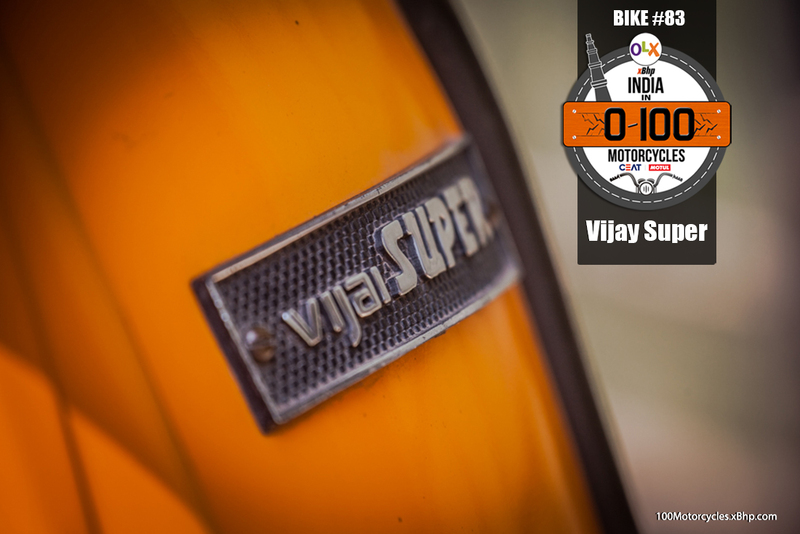 Buy a used Vijay Super on OLX. 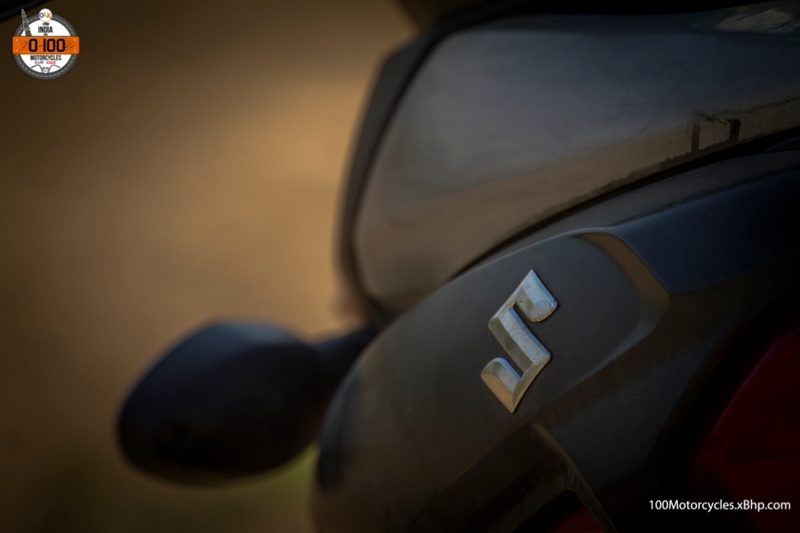 Certain vehicles made and sold in India have had interesting beginnings, like having their origins elsewhere, for example, Italy… ? 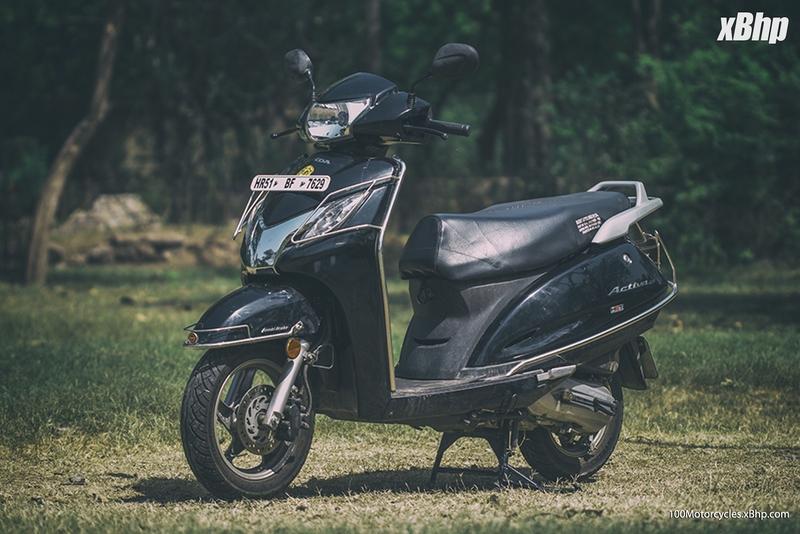 While it’s not really the case with motorcycles, but we can certainly credit the Italians for establishing a solid scooter market in India just a few years after the World War 2 came to an end. 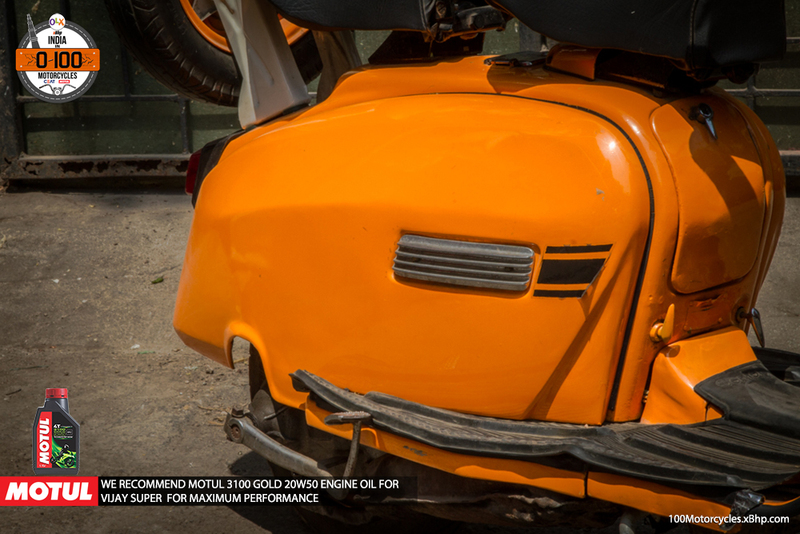 Seemingly, Vespa and Lambretta have played a huge role in forming the two-wheeler market in our country and leading to the likes of the Chetak and Vijay Super. Running short on budget? 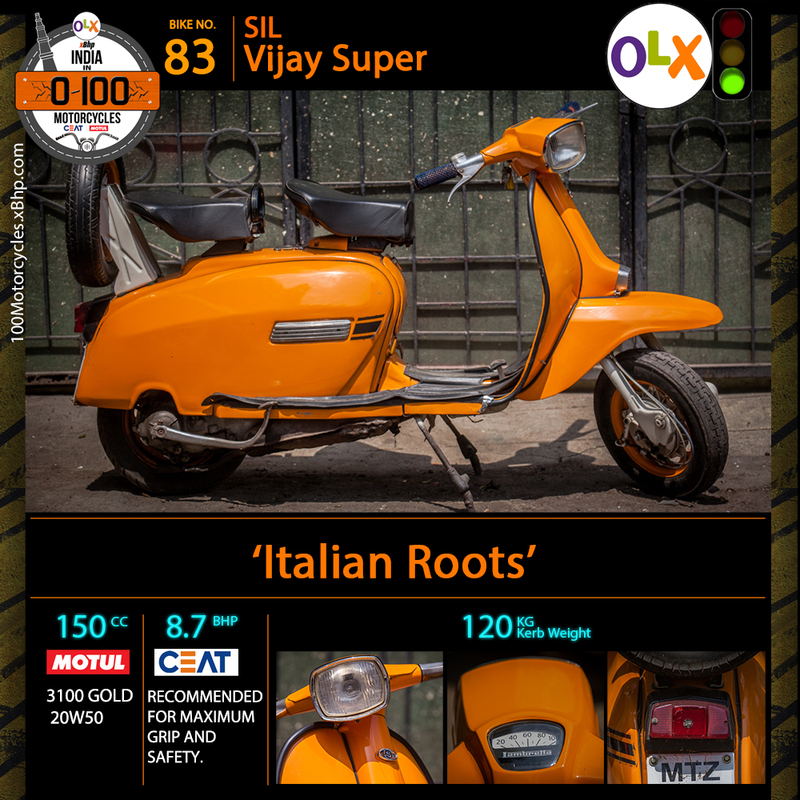 Buy a used Vijay Super on OLX. This time, we are going to talk about the latter. 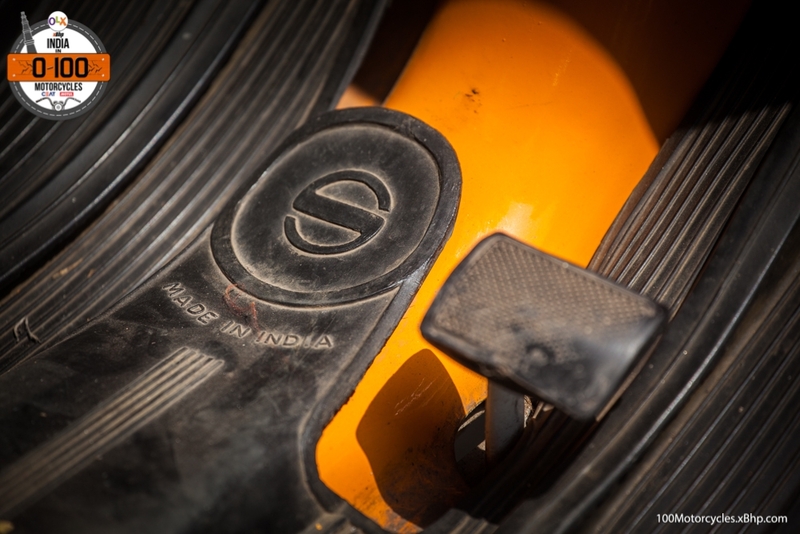 Lambretta was founded in 1947 as an aftermath of the World War 2. 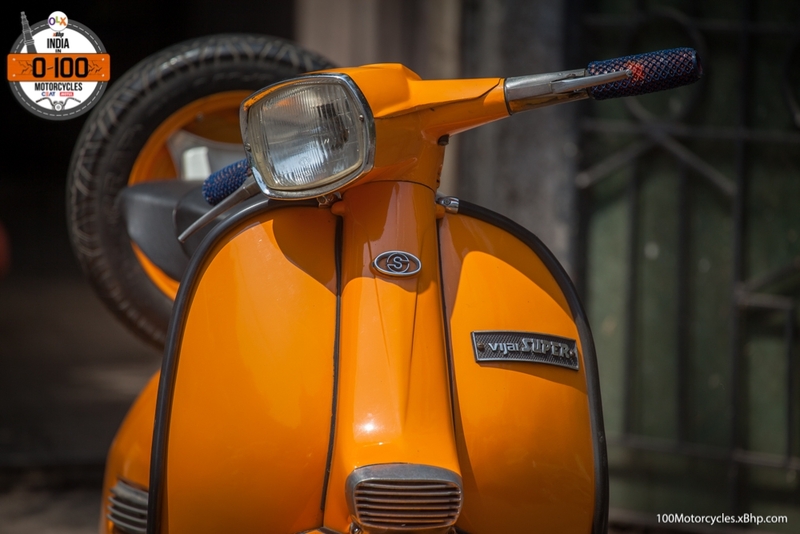 Given the circumstances and what not, company founder Ferdinando Innocenti realized and saw the need of cheap personal transportation vehicles and hence Lambretta was born. Mythically, Lambretta is the name of a water-sprite or water-fairy in the river which ran adjacent to the earlier production factory. 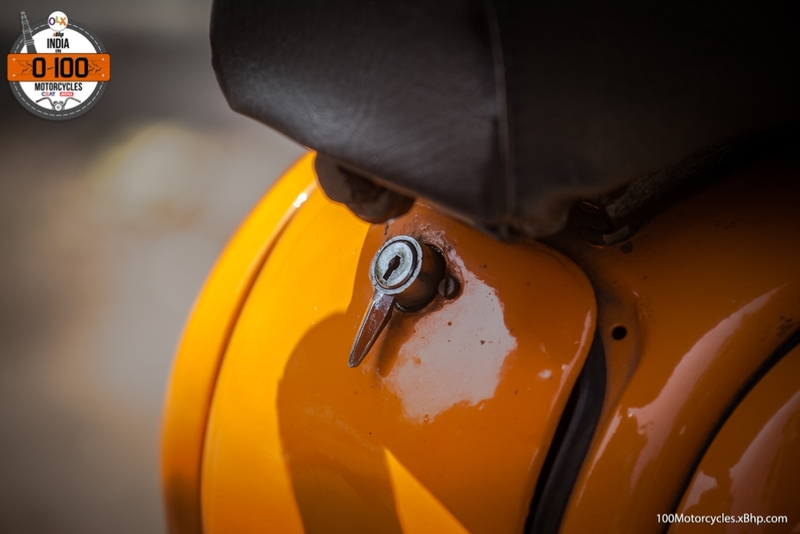 However, this is how Lambretta scooters came into being and it didn’t take too long for the company to enter India. 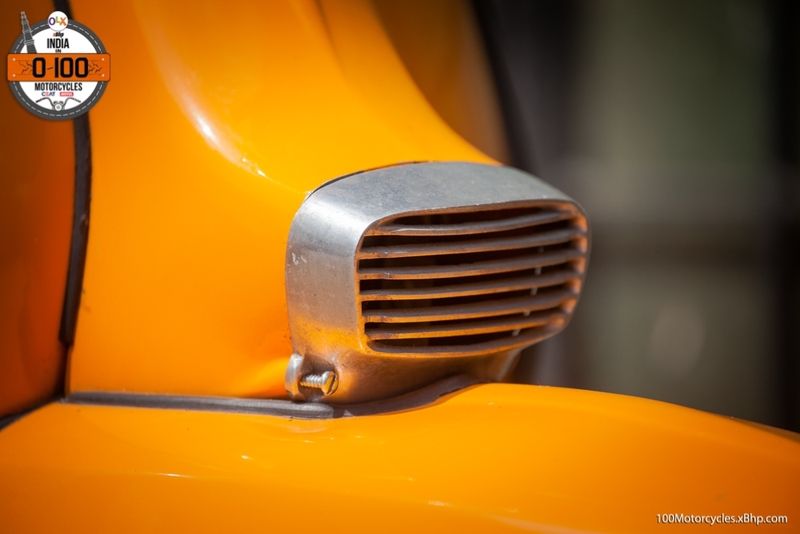 In the 1950s, the Automobile Products of India (API) started manufacturing Lambretta scooters in the country. 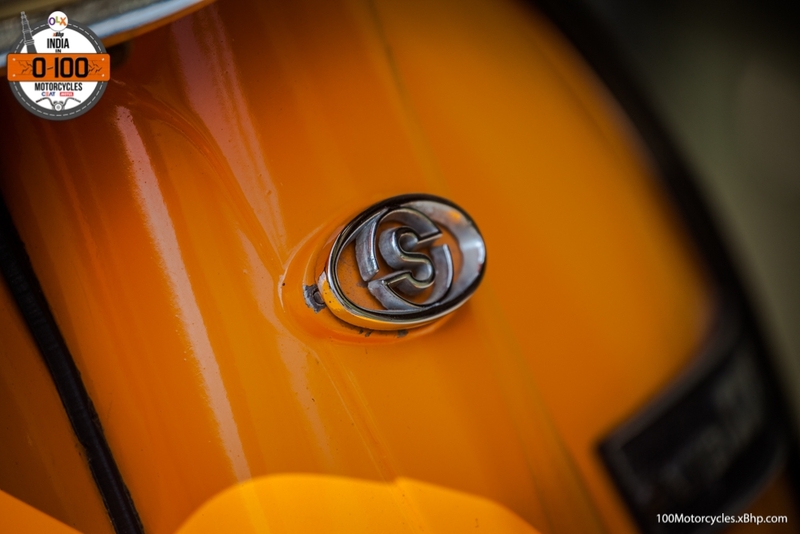 In around 20 years time, though, 1972 to be precise, Lambretta name was brought to an end by the Scooters India Limited (SIL) which brought the whole factory division along with the staff to produce ‘Vijay’ range of scooters. This led to the ever popular ‘Vijay Super’. It is, in essence, a Lambretta. 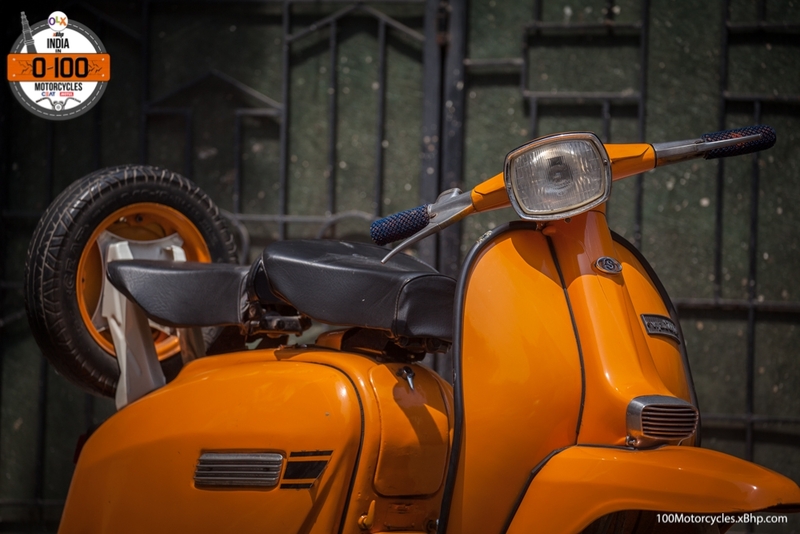 Although an Indian scooter, Vijay Super design language had Lambretta written all over it. 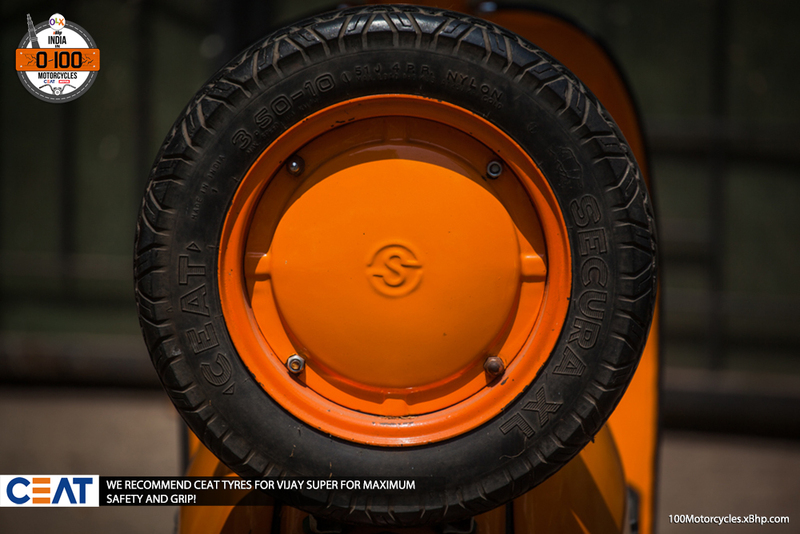 With a streamlined front fender, side body and the back (which also holds a spare tyre), the Vijay Super looked smooth and uncluttered. 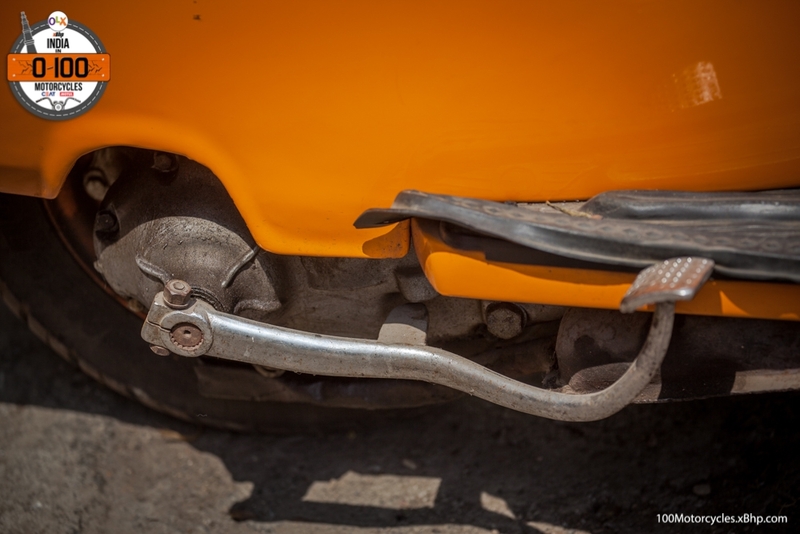 The front suspension was double-sided compared to Vespa’s single-sided arrangement, but it still appeared quite vulnerable. 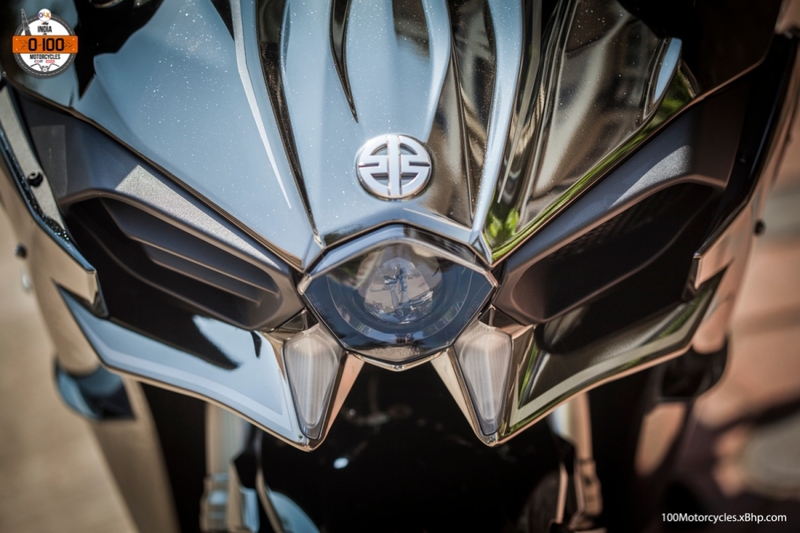 One of the recognizable traits of Vijay Super was the rectangular headlight. 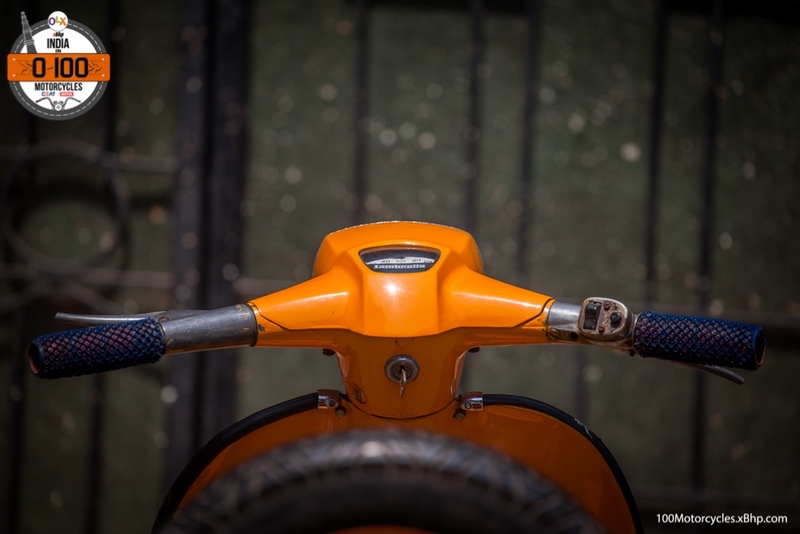 This combined with the overall design gave the scooter its own identity as it competed with the Bajaj Chetak. 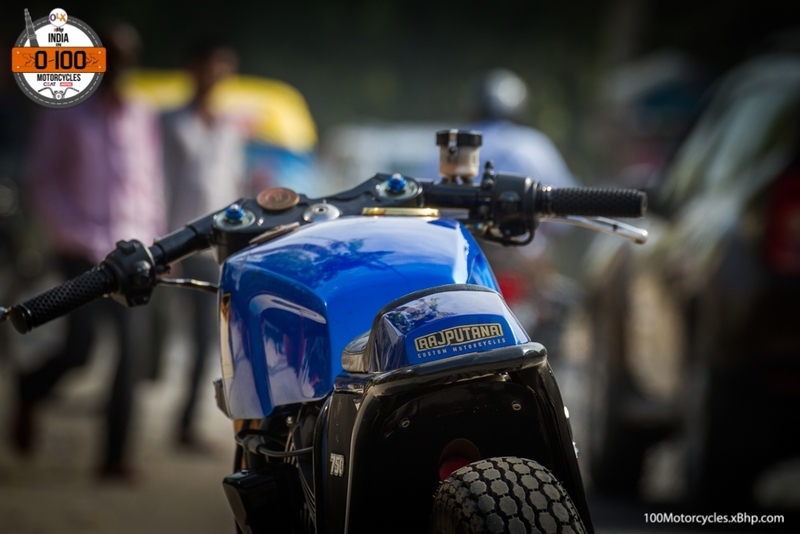 Vijay Super came with a Lambretta powered 2-stroke, a 150cc single cylinder engine which produced around 8.7 BHP of power at 6,300 RPM and catapulted it to a top speed of near about 104 km/h. 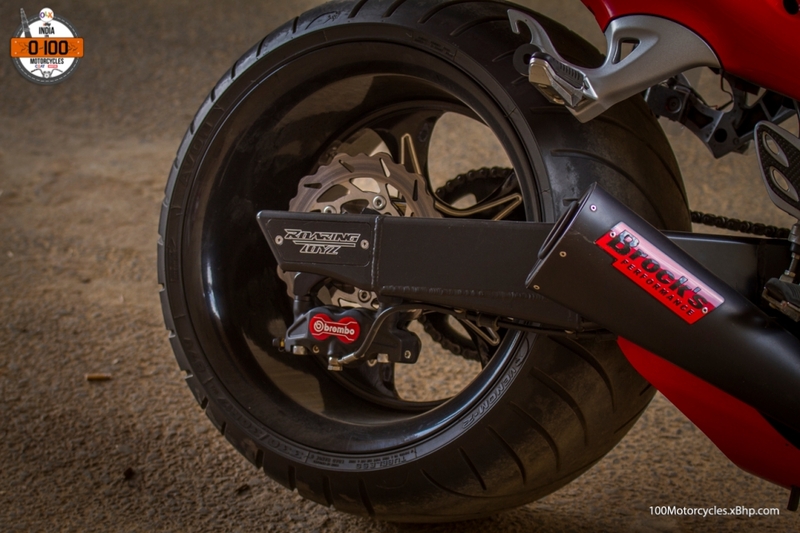 The scooter’s low weight of 120 kg also helped in performance. 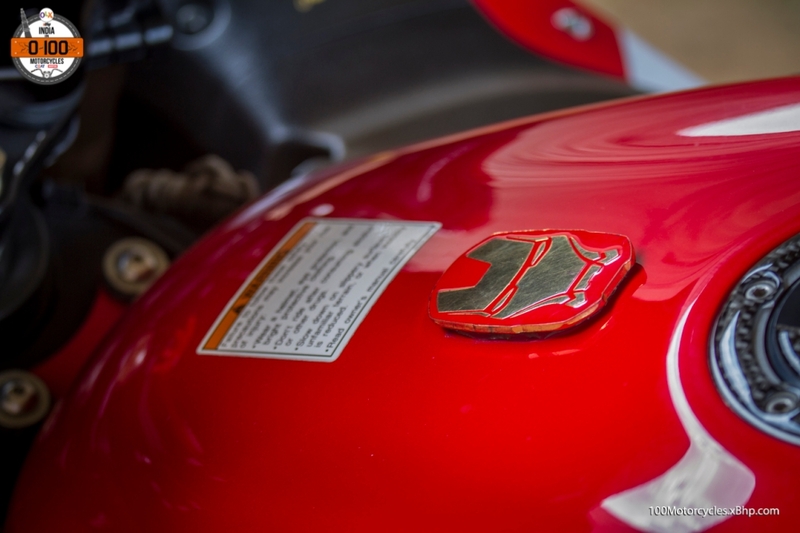 People who owned or still own this scooter swear by its performance. Mr. Baljeet Singh Kochhar, who was kind enough to let us ride his exceptionally maintained Vijay Super in bright yellow colour, is still proud of how the scooter goes on the road. 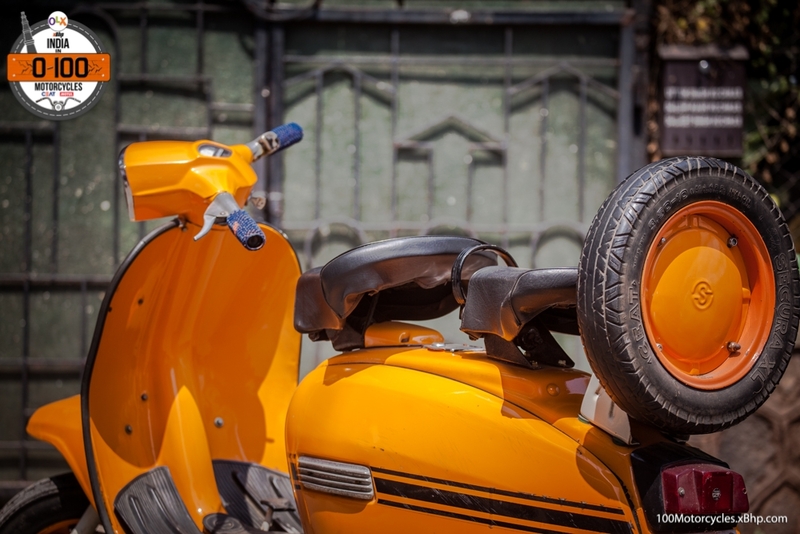 If you still fancy this scooter then you’ll have to dig up the second-hand market or better yet, go to OLX where it is likely you will find one. This was a very different scooter than what we have today. 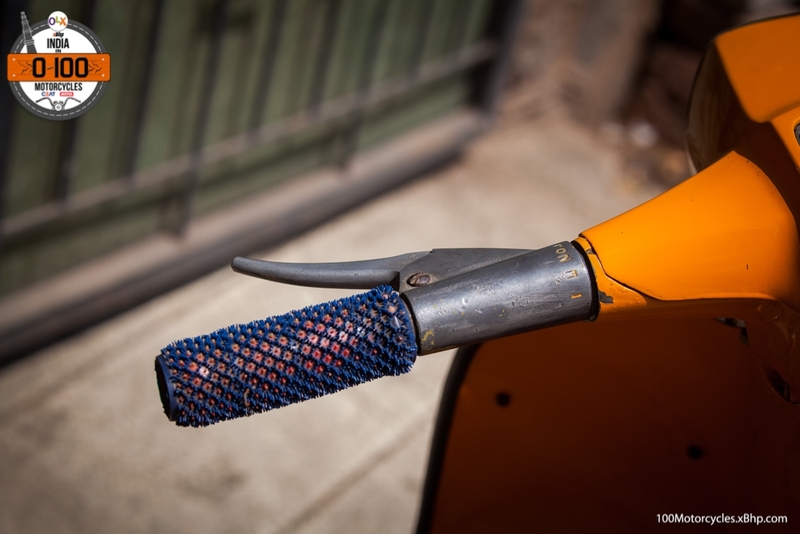 It is like an ancestor to today’s scooters that are much smoother and appear sophisticated. 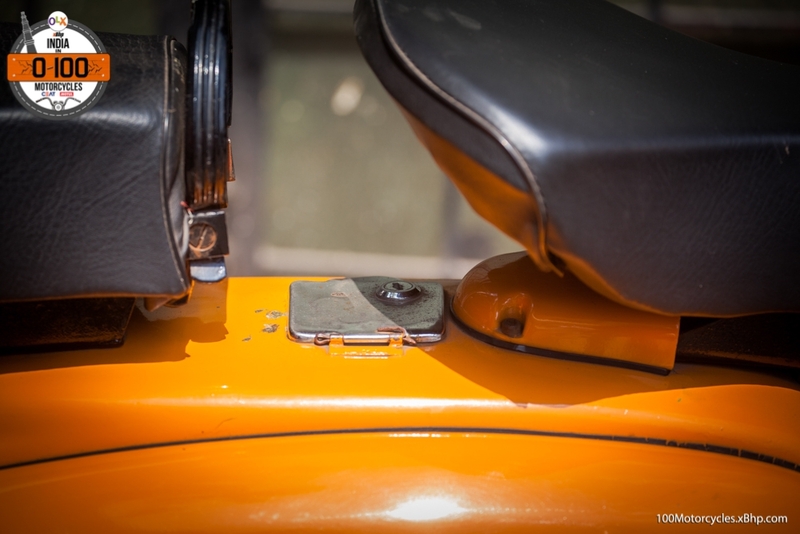 For example, compare the long flat seat of a Honda Activa with the springy rider seat on the Vijay Super. Then there’s the whole build quality and fit n finish. 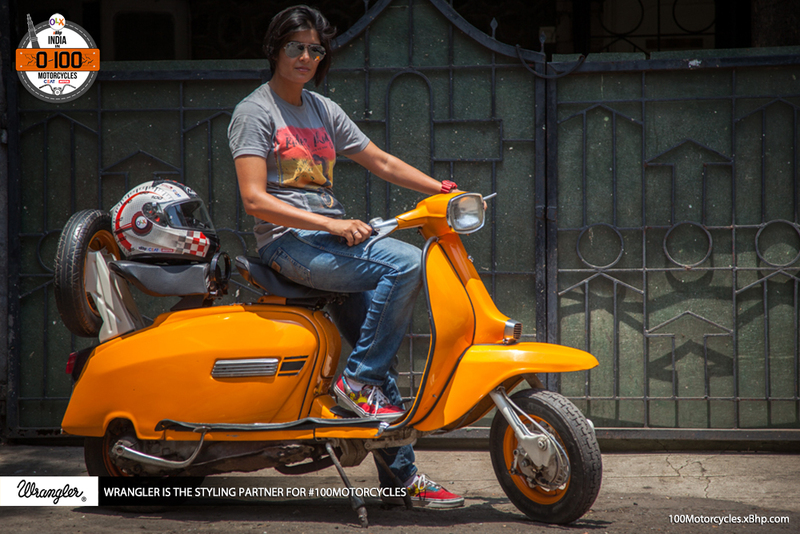 While Vijay Super, with its Italian roots, can still hold its own, it doesn’t quite match the overall prowess of the current generation of scooters. This isn’t a comparison, rather, just a highlight of how different scooters are today. 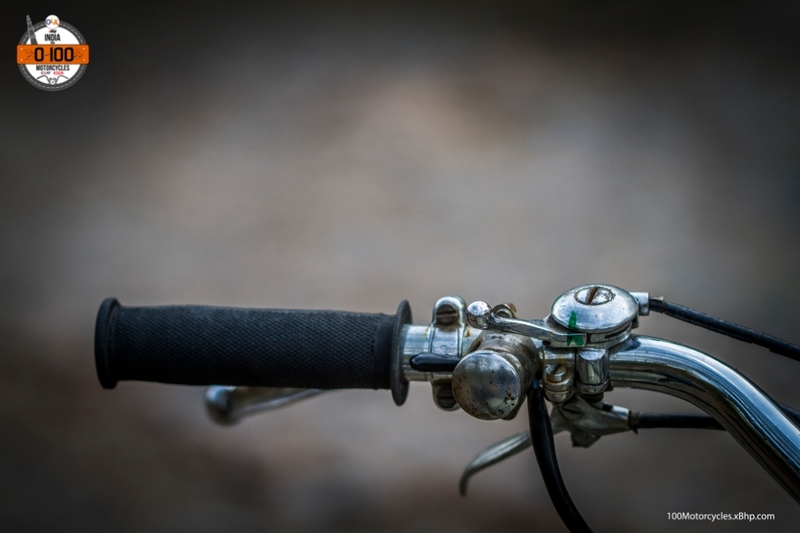 One thing that hasn’t change, they still remain one of the primary modes of transport and commute within city limits. 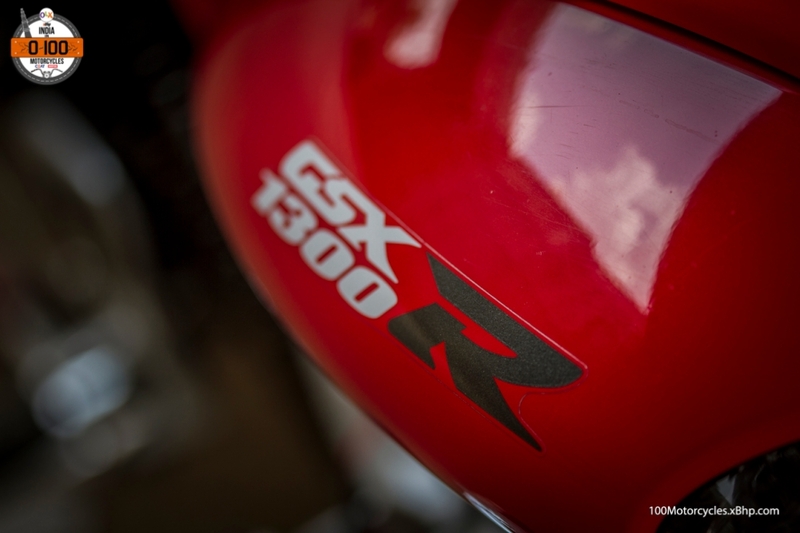 xBhp's coverage of #100motorcycles that defined the indian motorcycling. 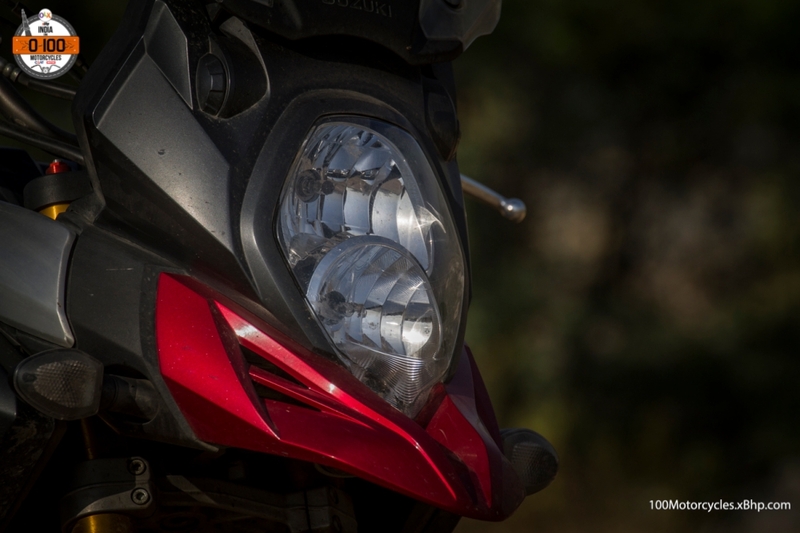 Bike #100: Hero Honda Splendor – Millions of Smiles and Billions of Miles! 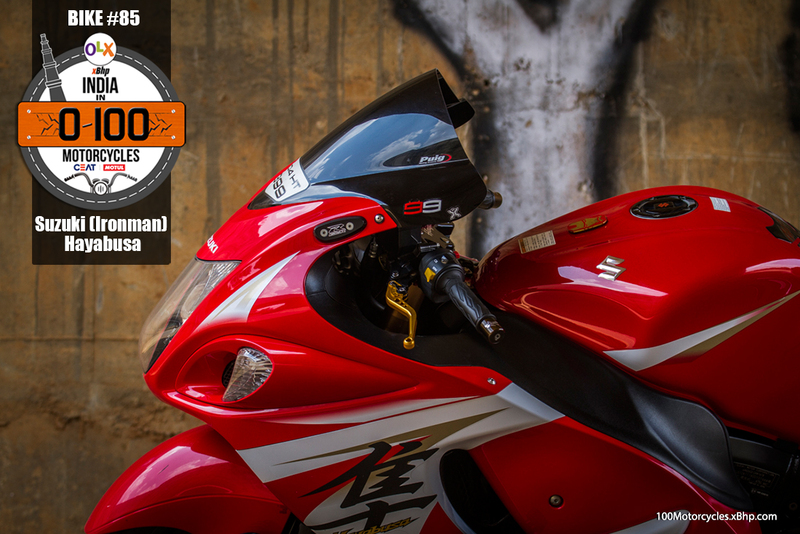 Bike #98: Yezdi D 250 Classic – Forever Bike, Forever Value! 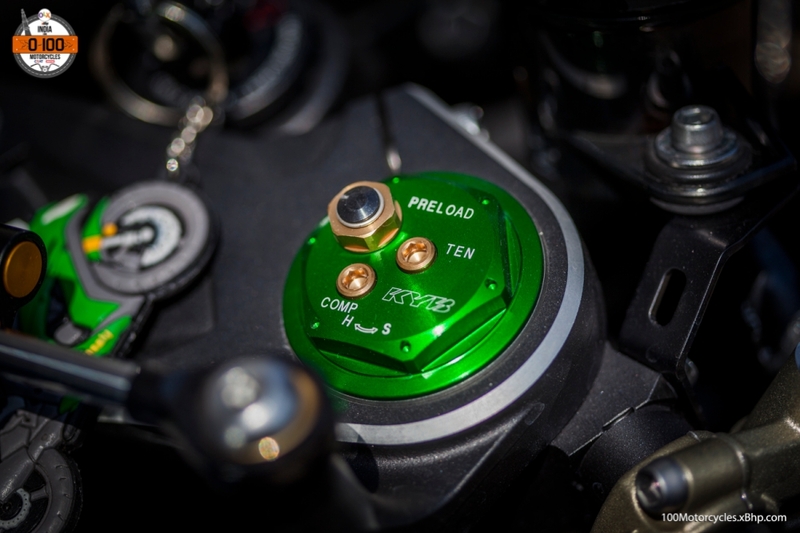 Bike #97: Kawasaki ZX-10R – On Track! 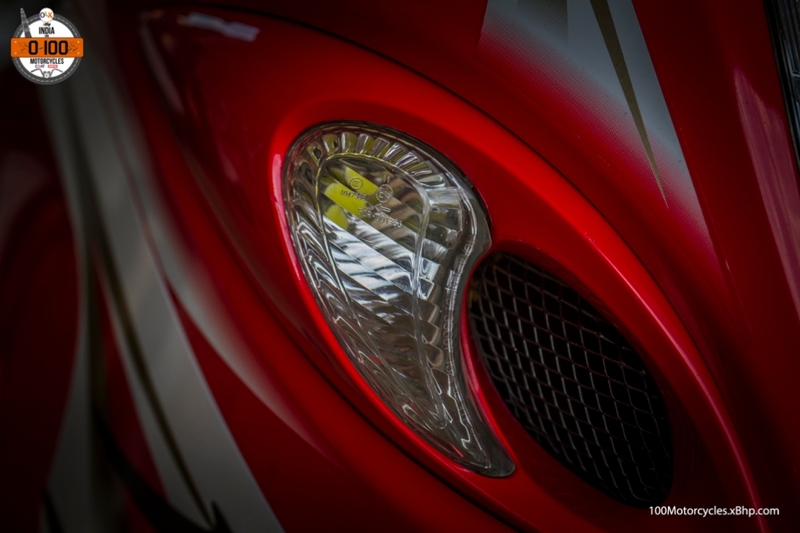 Bike #96: MV Agusta F4 RR – Art on Wheels! 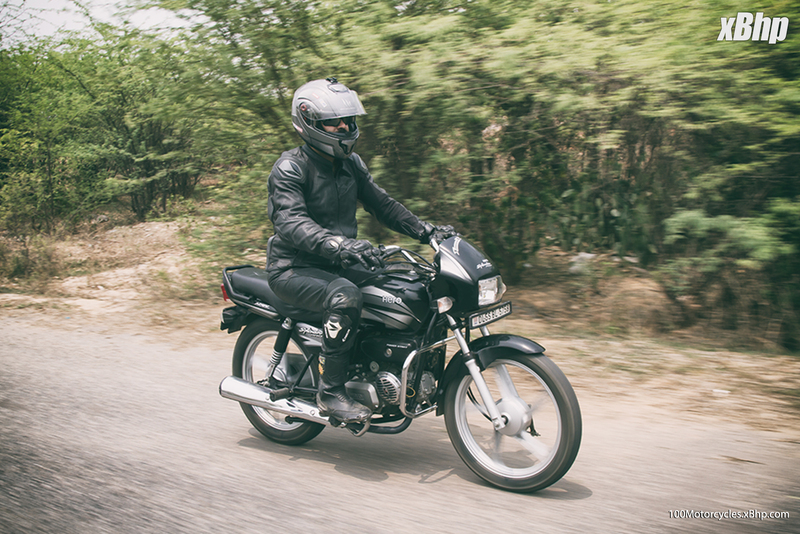 Anilkumar on Bike #51: Honda CBX 1000 – Before Honda made Gold Wing, they made this! 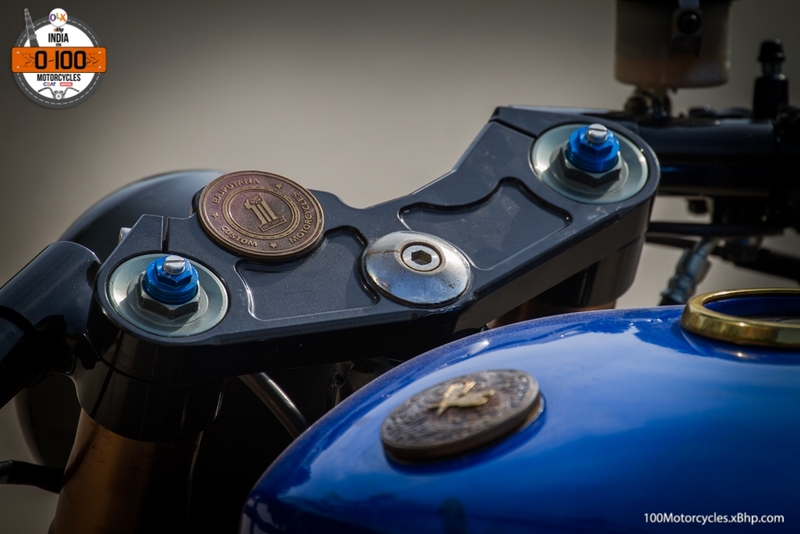 Aditya Rai on Bike #94: Royal Enfield Bullet Cast Iron – Thumping away into motorcycling history! 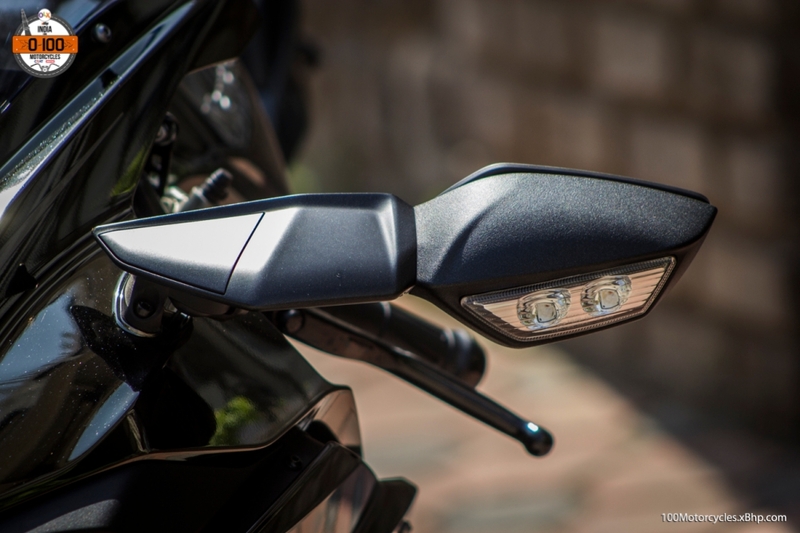 Saqib on Bike #01: Bajaj Pulsar 180 Classic – Revolution Begins!